1927 Bugatti "Baby", one family since the 1930's. 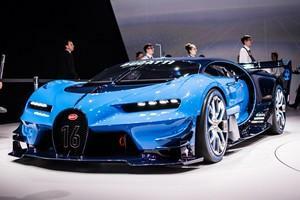 September 27, 2015 Bugatti presents new full size digital "Bugatti Vision Gran Turismo"
Virtual Reality coming to life! 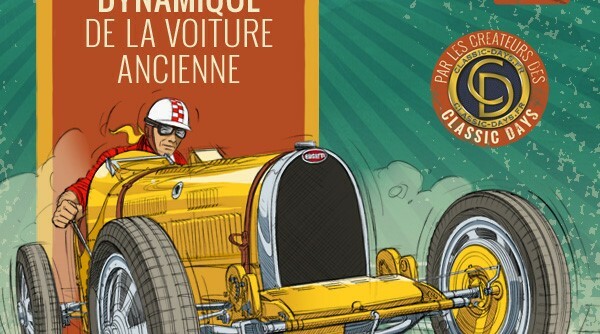 Last time a Bugatti took overall spoils at Le Mans, it had to fend off competition from Delages, Delahayes and Lagondas. During the most recent victory, in 1939, a certain Pierre Veyron was behind the wheel. With its new ‘Vision GT’ concept, Bugatti has wowed Frankfurt with a supercar that has a distinctly LMP1-like appearance, giving enthusiasts a glimmer of hope that the marque might one day return to Le Mans. In the meantime, however, they’ll have to settle for a ‘Monster of Molsheim’ lapping La Sarthe in the virtual world. 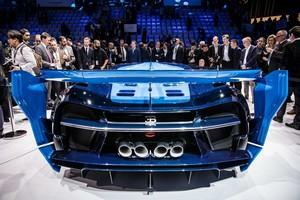 However, the engineers at Molsheim went one step further, and realised a full-scale model of the Vision Gran Turismo, which was presented at the IAA Autoshow in Frankfurt from September 17 until today. 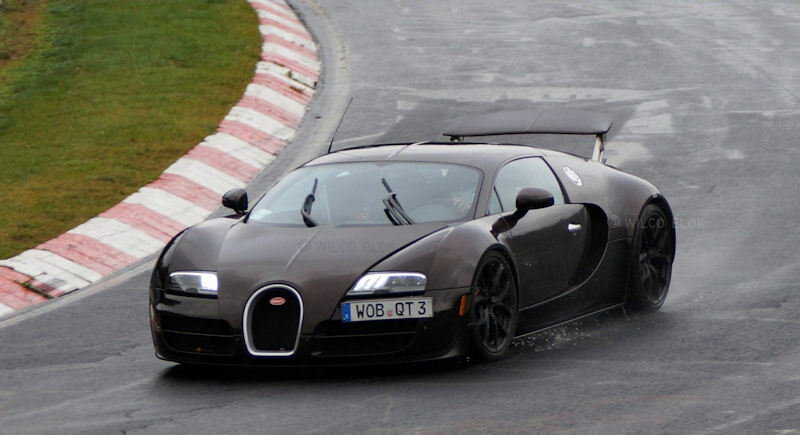 Though officially no comments are given, some of the design may actually be seen in the Chiron, the Veyron successor. We will have to wait for the Chiron (for which Bugatti already received various orders) introduction to see if that is true. There are others who say that this design looks very much ready for the Le Mans 24 hour race. We will have to see if that really materialises, though a lot of changes to the Veyron basis will have to be made before that will have any chance in Le Mans. Star of the sale was one of my personal favourites, the Maserati Boomerang. I like it's straight lines, and the windscreen which is so flat, you could easily mistake it for the roof! 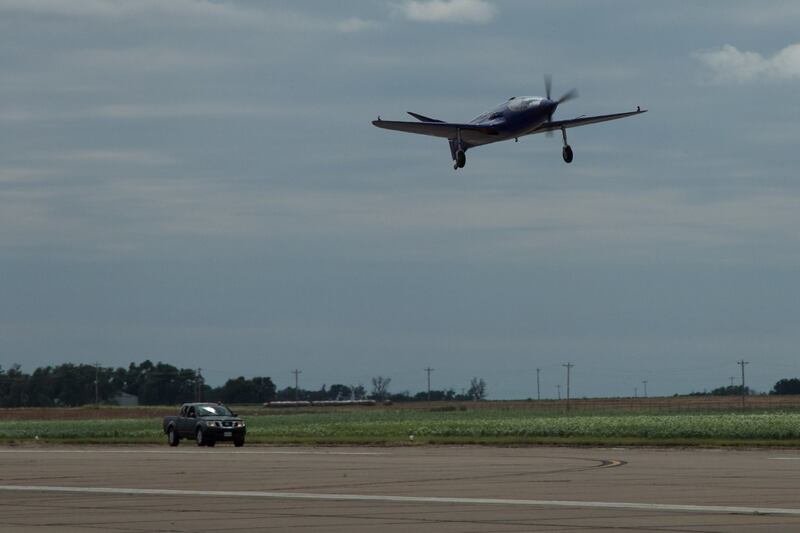 Yesterday, August 19, the replica Bugatti 100P airplane built by Scotty Wilson and his team flew for the first time, at an airfield in Oklahoma. See the first flight here! 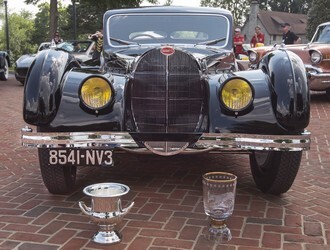 A 1937 Bugatti Type 57SC Atalante won Best of Show and the Children’s Choice Award during the 12th annual Keeneland Concours d’Elegance, held in Lexington, Kentucky on July 16 - 19. More than 130 historic cars were on display, including two classes of Maseratis, the featured marque, which celebrated its centennial in 2014. Other cars on display ranged from a 1908 Simplex Speedcar to a 2015 Dodge Challenger SRT Hellcat, with classic cars, European super cars and American performance cars well represented. “Each year the Keeneland Concours attracts some of the top collector cars in the country, and we are so appreciative of their owners’ willingness to share them with us, and another strong crowd shows that Central Kentucky is full of automotive buffs who love to spend the day on the beautiful grounds at Keeneland,” said Tom Jones, co-chair of the Concours. The Judges’ Choice Award went to a 1935 Pierce Arrow Model 1245 Rumbleseat Convertible Coupe, with a body by Brunn, presented by Evergreen Historic Automobiles. A 1970 Maserati Ghibli Spyder won the Junior Judges Award. The Bugatti Type 57SC Atalante, presented by the Patterson Collection of Louisville, is one of seven similar cars and was owned by the Harrahs Collection and then Carlos Hank and Arturo Keller until 2001. 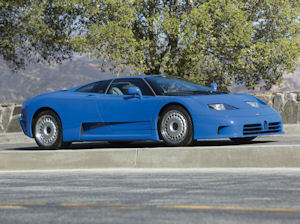 The car was recently returned to its original color and configuration by RM. Dr. Anthony Manganaro of Ohio was given the Lee Iacocca Award in recognition of his lifetime of supporting the collector car hobby and his philanthropic endeavors. This is the first test of the completed drive-train system. Scotty Wilson limited the RPM to idle for this test, and will increase the engine speed gradually over the next few tests during the coming few weeks. 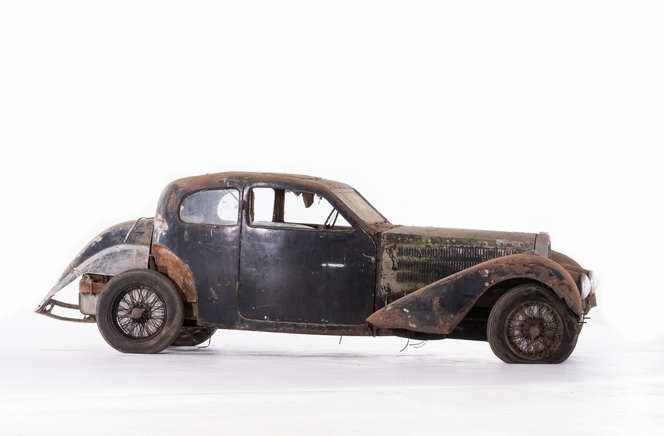 Osenat in it's Automobilia and Automobiles de collections auction on June 14 in Fontainebleau, France, sold a T37 for a tremendous €920,000 ! Châssis n° 37291 had had the same owner for 44 years. 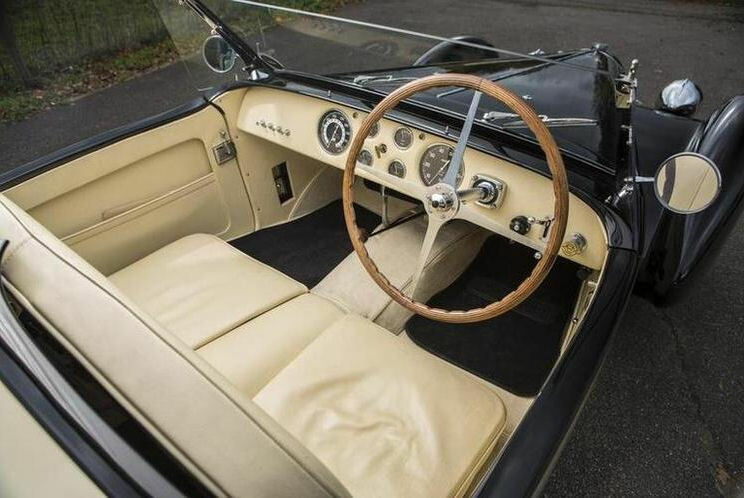 And: Artcurial in it's Automobiles Sur Les Champs auction on June 22, sold one original, though rather shabby looking Brescia for triple it's estimate of €250,000 (Car offered with no reserve!) to be finally sold for €834,400! 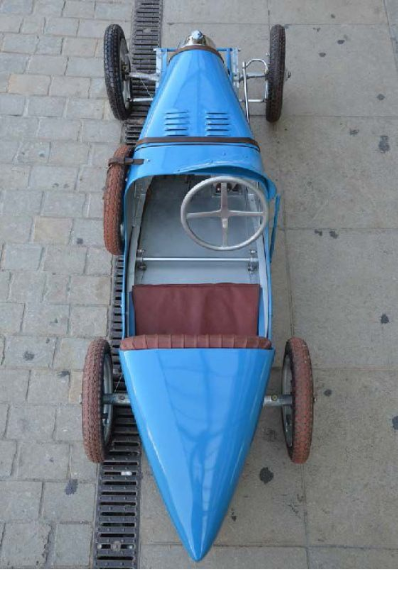 The Brescia was in the same family since 1953, and has a body by Maron-Pot et Cie, Chassis n° 2628, Engine n°1028. 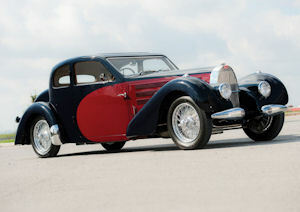 On the other side of the Atlantic, another record wass broken, that for a Bugatti Stelvio: The 1938 Bugatti Type 57C Stelvio Cabriolet, Chassis No 57748, sold for $1,595,000 in Bonham's Greenwich Concours d'Elegance Auction, on May 31. 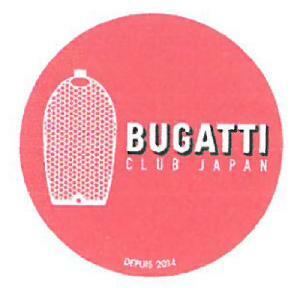 At long last, and after years of preparation, the Bugatti Club of Japan was officially established on April 4, 2015, when 32 Bugatti owners and enthusiasts attended the Club's inaugural meeting in Tokyo. 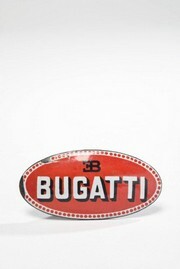 We wish this new addition to the long list of Bugatti clubs a lot of good fortune, in the "Land of te rising Bugatti."! Sitges - Terramar was a spectacular race track, which for some reasons (Political, dangerous track??) was never used much. being chased by an airplane. The circuit still exists, in the coastal mountains just south of Barcelona, it can even be seen from the highway! Lot 203, 1938 Bugatti Type 57C Atalante, "The World’s Fair Bugatti"
160 bhp, 3,257 cc DOHC inline eight-cylinder engine with Roots-type supercharger, four-speed manual transmission, solid front axle with semi-elliptical leaf-spring suspension, live rear axle with reversed quarter-elliptical leaf-spring suspension, Houdaille shock absorbers, and four-wheel Lockheed hydraulic drum brakes. Wheelbase: 130 in. The French Pavilion at the 1939 New York World’s Fair was designed, in typical Gallic brilliance, to show off the best that its country had to offer—and it did so with precision and flair. 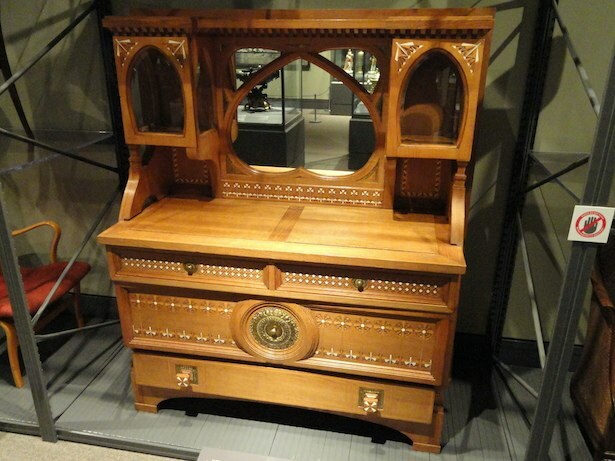 Arguably, more than any other nation’s exhibit at the fair, it left the most behind in the U.S. in its contributions to art, culture, cuisine, and most particularly in automobiles. Some of the finest custom coachbuilders in France had bodied the country’s best chassis to advanced and spectacular designs, not least of which was the Bugatti on display, carrying the late Jean Bugatti’s stunning Atalante design. The Atalante embodied everything great about French Art Moderne design: arching fenders, a svelte “notchback” body with a curving roofline, a slanting tail that descended dramatically over the rear fenders, and a wonderfully subtle two-tone color scheme that emphasized its lines. It was the country of France on wheels: bright, modern, spectacular, and proud, and, most importantly for the French Government, it was a stunning contrast to the stolid American designs of 1939. Nothing could beat it for advanced design of chassis, engine, or body. 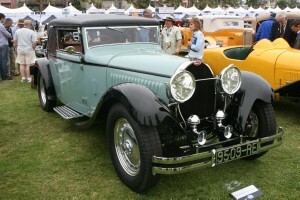 Of the 32 Atalantes produced by Bugatti, only the last 12, including this very last example, body number 32, were produced with aluminum coachwork. It was the world’s ultimate automobile, and France had built it. Now it was theirs to show off on the world stage, shaking up automotive design on two sides of the Atlantic. 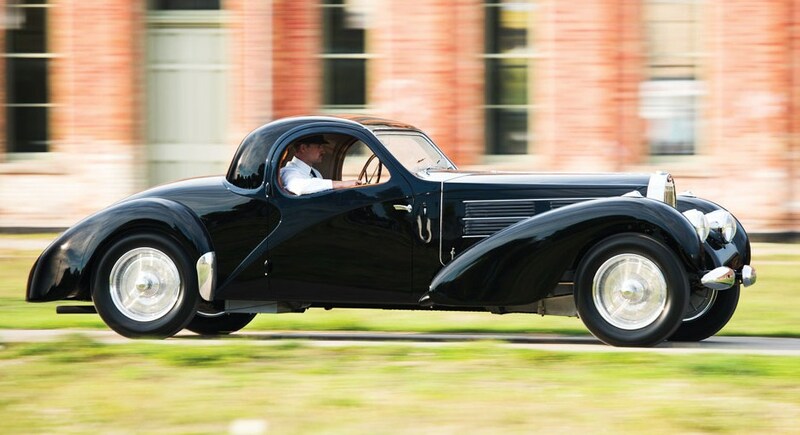 Prior to 1946, the World’s Fair Type 57 Atalante, chassis 57733, came into the possession of early American Bugatti enthusiast Ray Murray. 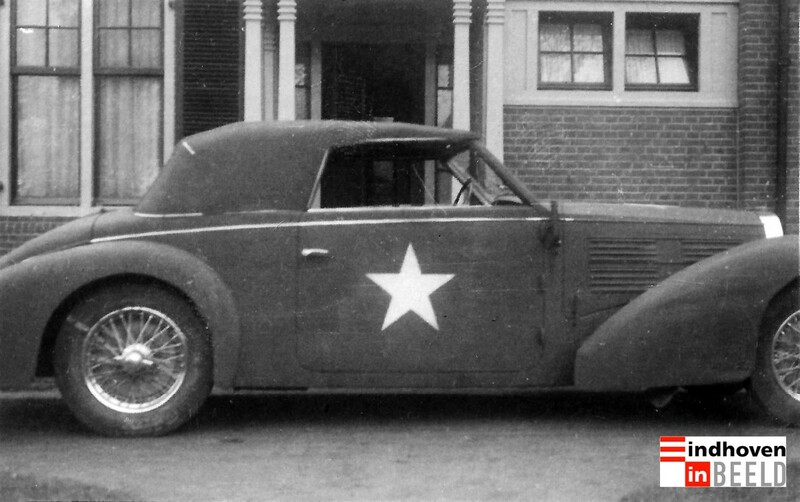 Murray also owned Type 57C chassis 57766, a Stelvio Cabriolet originally delivered new to gentleman racer Nicholas Embiricos. Embiricos had the Stelvio shipped to his residence in Palm Beach, and Murray probably acquired it in 1941 shortly after Embiricos’ passing. This chassis was of the latest and best Bugatti design, with such sought-after late-Type 57 features as Bugatti-Lockheed hydraulic brakes, tubular shock absorbers, and rubber engine mounts, significant changes that deeply improved the car’s riding and handling qualities. Desiring the most potent combination of the lightweight aluminum coachwork and a supercharged Type 57 chassis, of which only five were originally constructed, Murray swapped the two bodies, bringing 57766 to its present and most desirable specification. 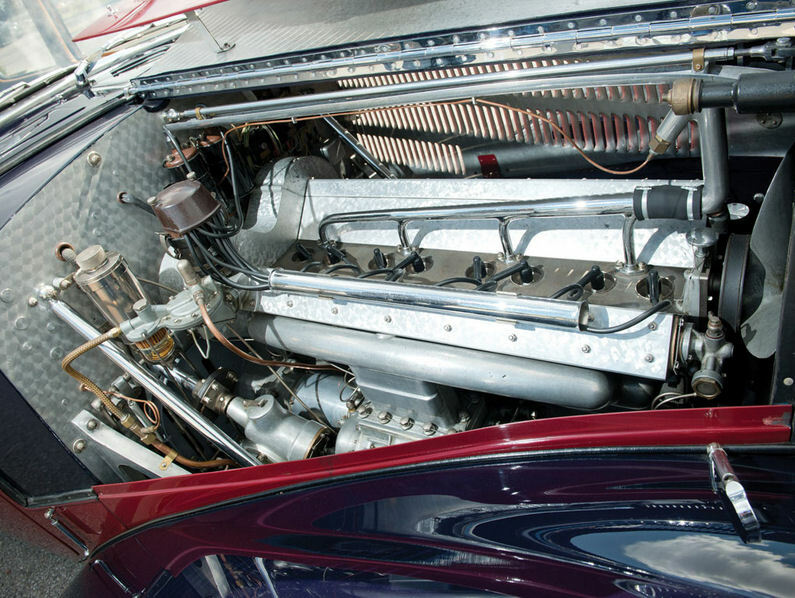 In 1947, the supercharged Atalante was purchased by the legendary Pennsylvania enthusiast Al Garthwaite, most famous as the founder of the Algar Ferrari dealership in suburban Philadelphia. Mr. Garthwaite was an active racer who was deeply involved in early SCCA activities in his spare time and who promoted road-racing extensively throughout the East Coast. Unsurprisingly, the Bugatti became his latest steed, and its first known outing was the Watkins Glen Junior Prix on October 2, 1948. 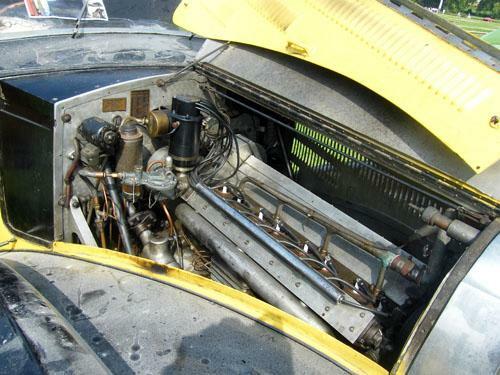 It was also exercised in the 100-mile feature event at the Bridgehampton Road Races on Long Island on June 11, 1949, where the car performed admirably but was waylaid by a broken connecting rod. 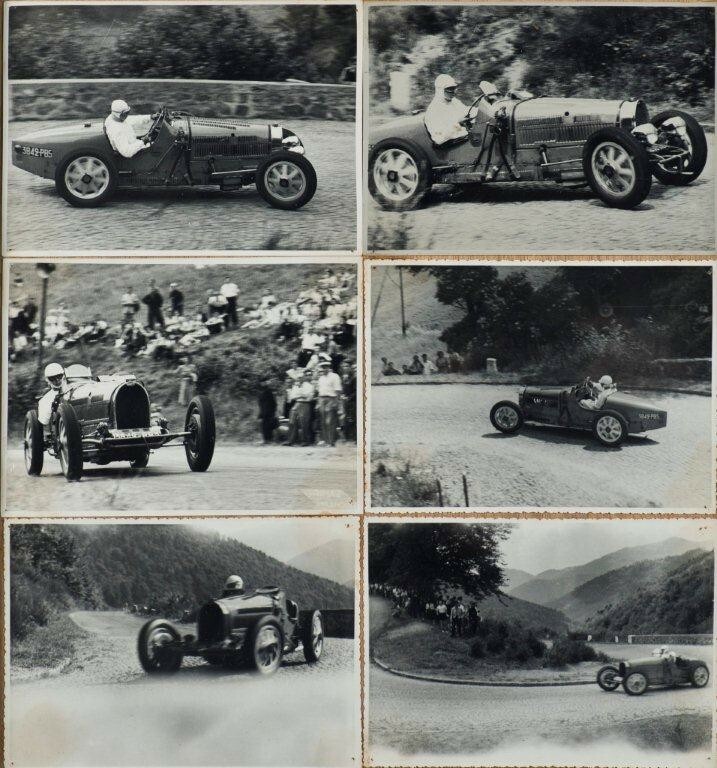 Repaired, the Bugatti ventured to the Mount Equinox Hillclimb in Vermont on July 29, 1950, and set the eighth fastest time of the day—just behind a brand-new XK 120! 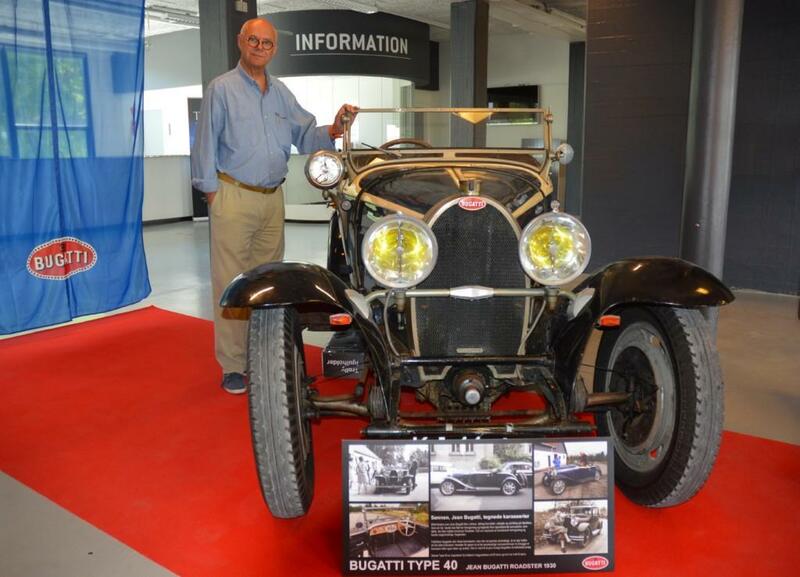 After several years of avid enjoyment, Mr. Garthwaite passed his Bugatti on to a friend and client, Dr. Samuel Scher, a pioneering U.S. collector best known for his sports car racing and stable of Brass Era automobiles. Dr. Scher took the car to the famous New York “garage of stars,” Zumbach’s, for service, and while there it was spotted by John W. Straus. For the Macy’s heir, it was love at first sight, and he had soon acquired the Bugatti from Dr. Scher. 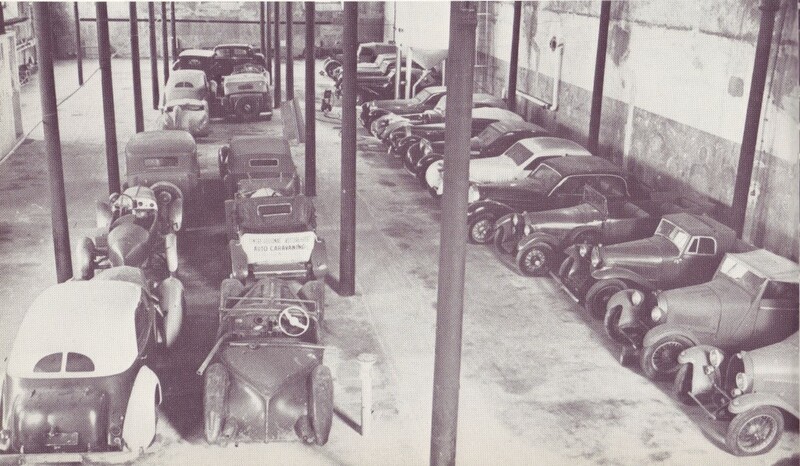 The Straus garage was not so much a collection as an old-school gentleman’s stable that included a fine automobile for every purpose, from the family Duesenberg and a Springfield Rolls-Royce to a Mercedes-Benz 540 K, a Ford Model T, and two Jaguars. 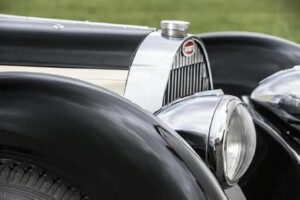 At least in the early years of his ownership, it seems that the Bugatti was among the cars that Mr. Straus drove most, running it regularly in the New York area and socializing with Ralph Stein and other enthusiasts of the age. Yet in the early 1960s, he began to move away from his motoring adventures, and the Atalante was parked in a garage in the suburbs; down came the garage door, and the Bugatti was seemingly forgotten. 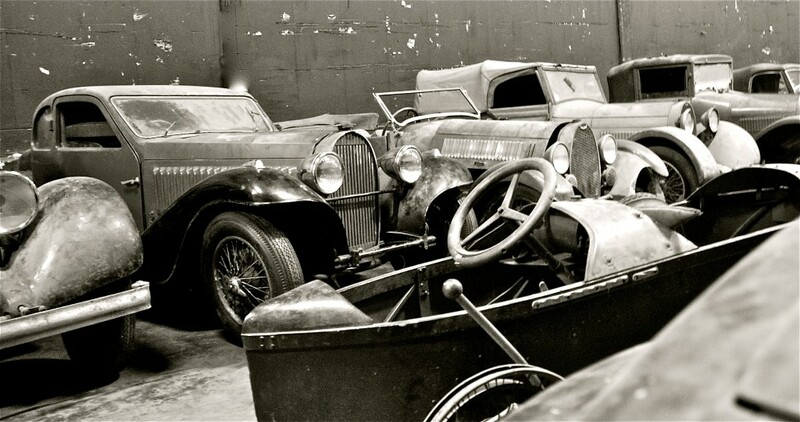 It was not until Mr. Straus’s estate was being settled in 2007 that the garage door was opened again, revealing the “lost” Bugatti, intact and well-preserved under 45 years of dust. 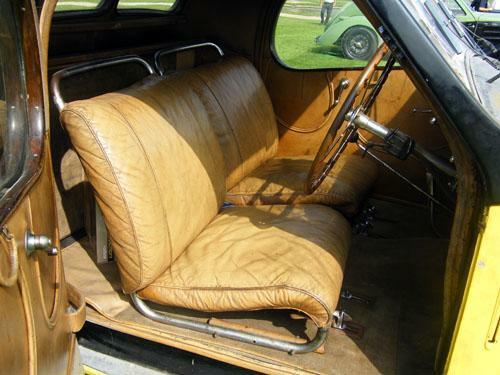 The car was sold to an East Coast enthusiast, who had it sensitively cleaned and returned to operational condition by Sargent Metalworks of Fairlee, Vermont, and then displayed it in the hotly contested Prewar Preservation class at the Pebble Beach Concours d’Elegance in 2007. Afterward, the Atalante participated in the American Bugatti Club’s Annual Meet at Watkins Glen and was shown as part of the special “Barn Finds” exhibit at the Saratoga Automobile Museum in New York. 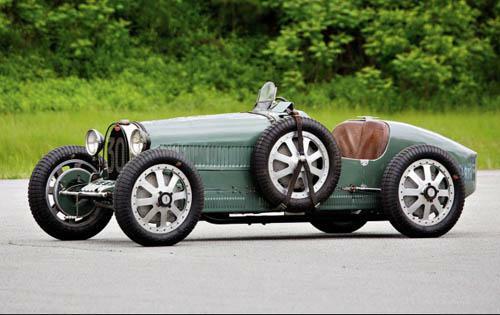 After changing hands shortly thereafter, the Bugatti was returned to Scott Sargent’s shop for a complete restoration. 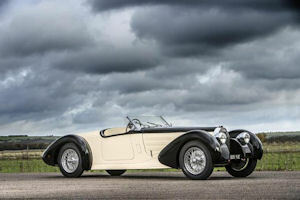 Pebble Beach Best of Show-winning restorer Scott Sargent, who once looked after the well-known Williamson Bugatti Collection, tackled the job of restoring such an intact, original car with aplomb. These original components were carefully dismantled, restored, and put back together, with a thorough rebuild of the engine being undertaken by Gary Okoren and Sam Jepson. 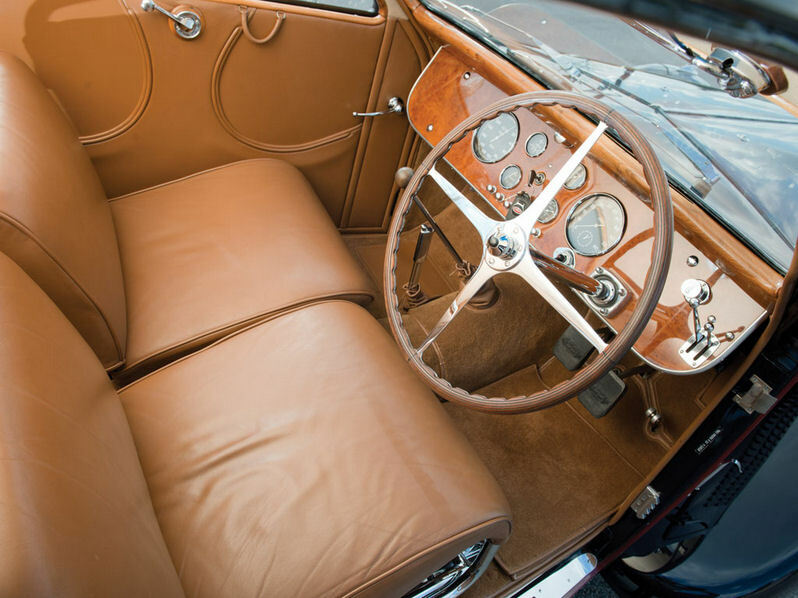 Well-preserved original interior components allowed renowned upholsterer Mike Lemire to recreate the distinctive grain and color of the original leather, while O’Donnell Classics refinished the original body panels in a period-correct French Blue and Black combination. 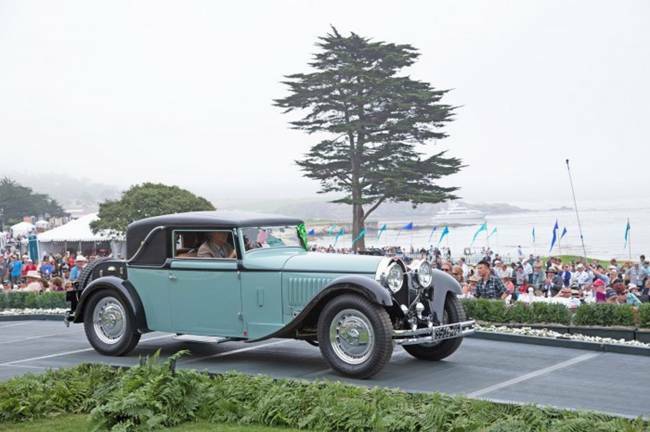 With its restoration completed, the Bugatti made a return to Pebble Beach, where it completed the Tour d’Elegance and earned 2nd in Class in the concours. In its ownership following the Pebble Beach Concours, it has been selectively shown at only a handful of further events, resulting in Best of Show honors at the Saratoga Invitational in 2012 and, in its present care, at the Lake Mirror Classic in 2014. Nearly seven decades after its debut at the 1939 World’s Fair, the Atalante is presented once more in New York. Again in show-worthy condition, as striking and detailed as when it was completed, it offers the best imaginable combination—the most developed, highly original 57C chassis and the most striking, historic, and last Atalante body. The World’s Fair Atalante is a showstopper, and certainly the craftsmen who built it would not have had it any other way. 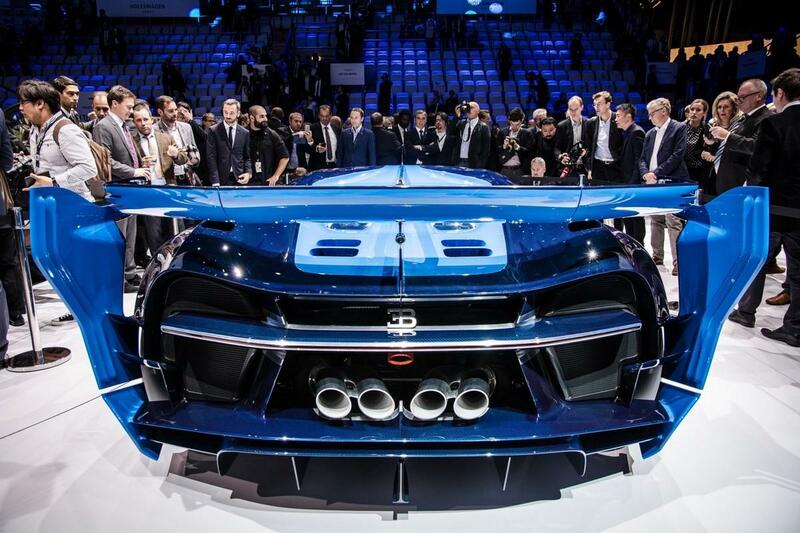 May 3, 2015 News on Bugatti Veyron Successor. The name Chiron has been mentioned many times, so that does not seem to be changing any more. Car Magazine announces that the Chiron will have 92% new parts compared with the Veyron, even if the 8 litre W16 base engine will remain the same. There will be electric Turbochargers (or would that be electric superchargers?) and a system to de-activate cylinders. This will result in a lower fuel consumption (mixed use that is, not at top speed) of 20 litres against 23,1 litres for the Veyron. What she will really look like, we'll have to just wait. The drawing above is an artist impression, below a photo of a Veyron test-bench. No details are known, but logically it will be used to test some of the Chiron's systems. 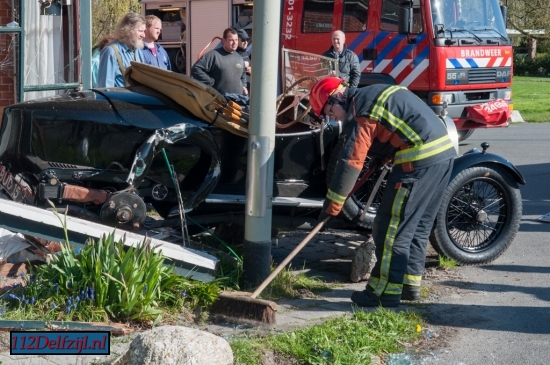 April 29, 2015 Bugatti Brescia crashes into house during rally. 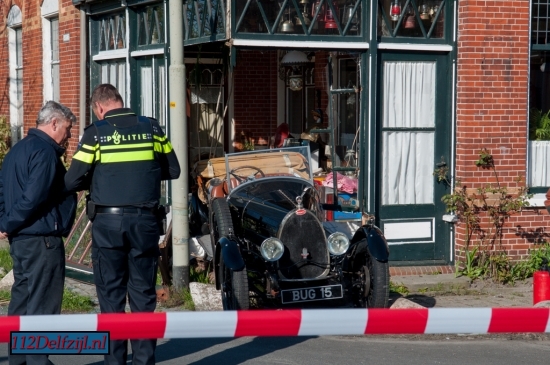 During a rally of the Dutch Bugatti Club, a van collided with a Bugatti, forcing it from it's path and finally to collide with a house (formerly a well-known café) in the village of Wirdum, in the province of Groningen. The 28 year old local vandriver (or should we say Vandal?) 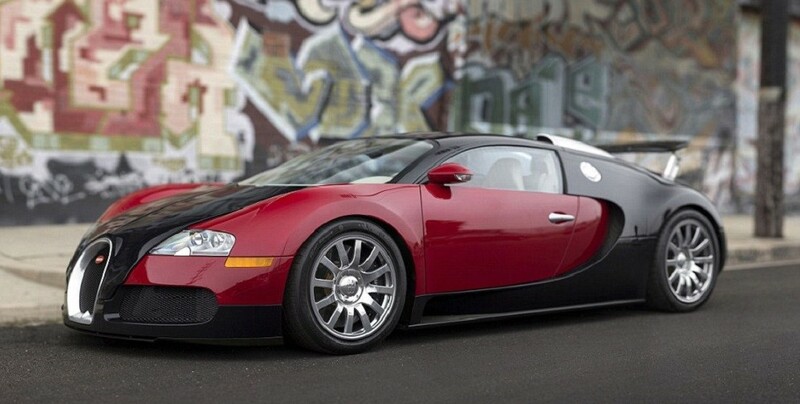 overlooked the Bugatti. His van was hardly damaged. The Bugatti Type 23 Brescia Midifiée (chassis 2840) was driven by a man from Schilde, Belgium, who was not injured. His woman passenger had back-injuries, of which it remains unclear how serious they were. The damage to the car is substantial, as can be seen from the Photo's. Damage to the house is quite severe as well.. 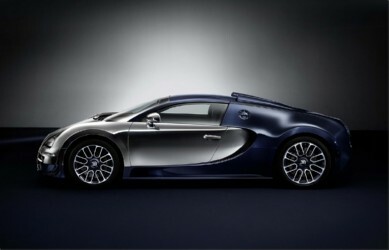 The Bugatti itself is quite exceptional. She was built in 1926 en passed a short while in the showroom in Paris. After that, the car was sold for 185 pounds (256 euro) toAustralia. The car passed decades there on a farm, but also saw some rally action. Many changes were made over the decades, so not all parts are original. In the 80's the car ended up in England, and was sold in 2009 to the Belgian owner for about 150.000 pounds. April 29, 2015 Engines and drive train running! 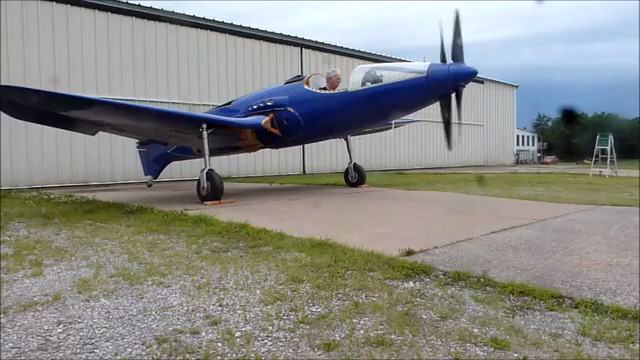 Those of you who follow the project already know this, the engines in the Bugatti 100P replica built by Scotty Wilson and his team are running! Click on the above image to see and hear it. Scotty's comment: "On April 2, 2015 we fired up the engines and powered the drive train for the first time, with successful results. Both engines started easily and all systems - fuel; electrical; lubrication; propeller-reduction gearbox lubrication and cooling; engine coolant; and all gauges worked correctly. We kept engine and propeller RPM at reduced RPMs for this test. We noticed no unusual noises or vibration issues, but don't expect to see any until we hit the higher RPM ranges. 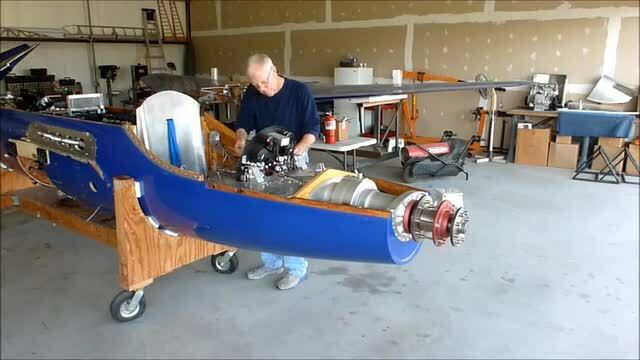 Next we'll mount the fuselage to the wing and install the propellers in preparation for easing into the full power engine runs." Of course, we know that the engines are not the 4,7 litre 480 HP straight-eights as used in the original, but this is an important step in bringing the plane closer to flying! And; Bugattis own 1.5 litre 4 cylinder engines were also used, in the de Monge 7.5 flying wing. They were of the same displacement, though less powerful.. The news item below "T55's in a protest action in Paris" was of course an April 1 joke. I have no idea if it was a succes, I was not in Paris on Wednesday. About the line-up of T55's, this was the give-away, as they are of course the BMW engined De La Chapelle's. March 31, 2015 Series of T55's in a protest action in Paris. 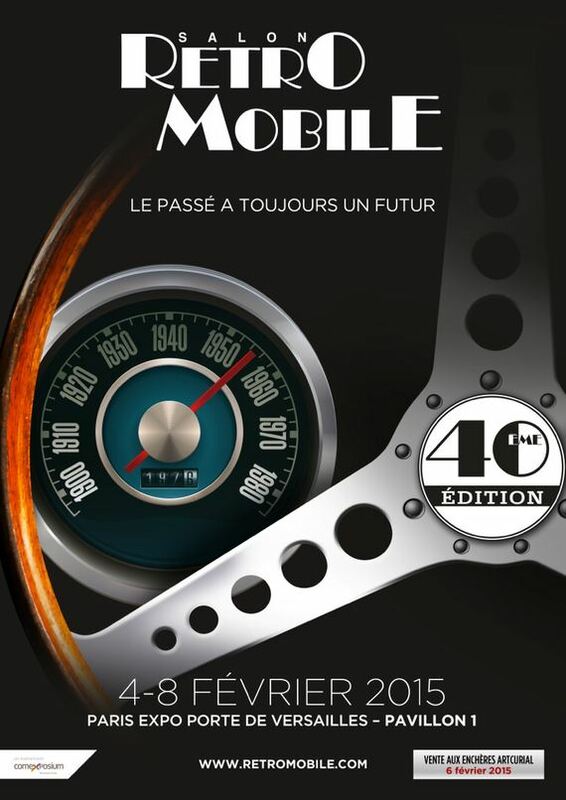 Tomorrow, there will be a protest in Paris of classic cars. The protest is against a new law to ban classic cars from the center of Paris. 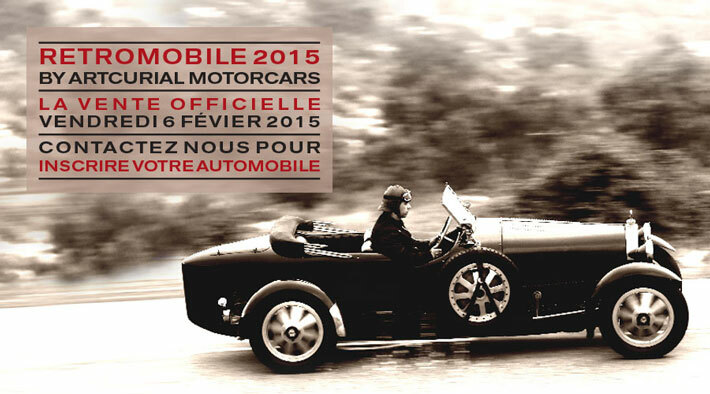 As many of the famous French marques most beautiful cars will participate in the protest. The tour of Paris will end on the Champs Elysées on 3 o'clock in the afternoon, at the location where originally the Bugatti dealership was. The organisers hope to show how attractive these classic cars can be to the eye, which all will be lost once the new legislation is in place. 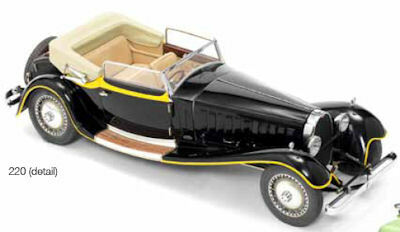 Including one of the Rembrandt Bugatti elephants and a Bugatti "Baby". 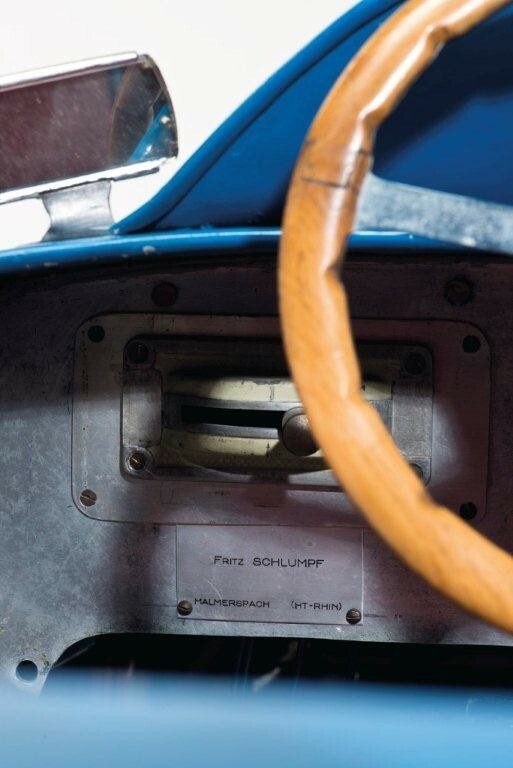 Paris – On 28 April, the Christie’s Paris’ Interiors sale will include an important section dedicated to personal items of the world’s greatest vintage cars collector: Fritz Schlumpf. 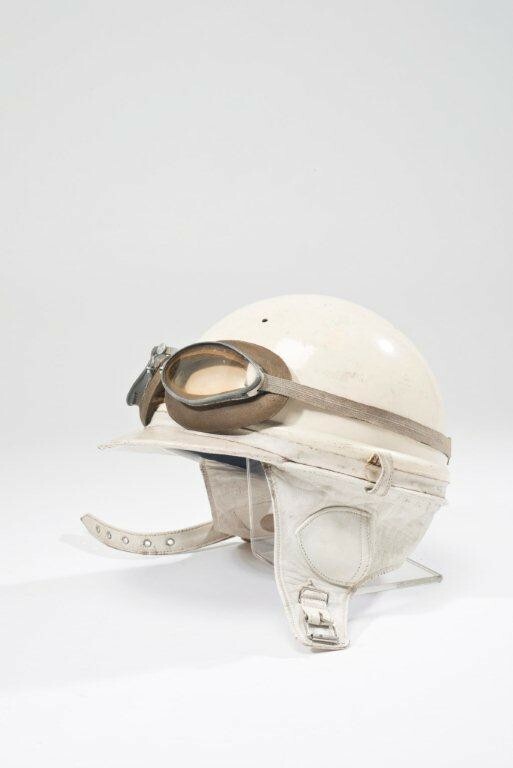 This collection is permanently exhibited at the Cité de l’Automobile – Musée National – Collection Schlumpf of Mulhouse, France. 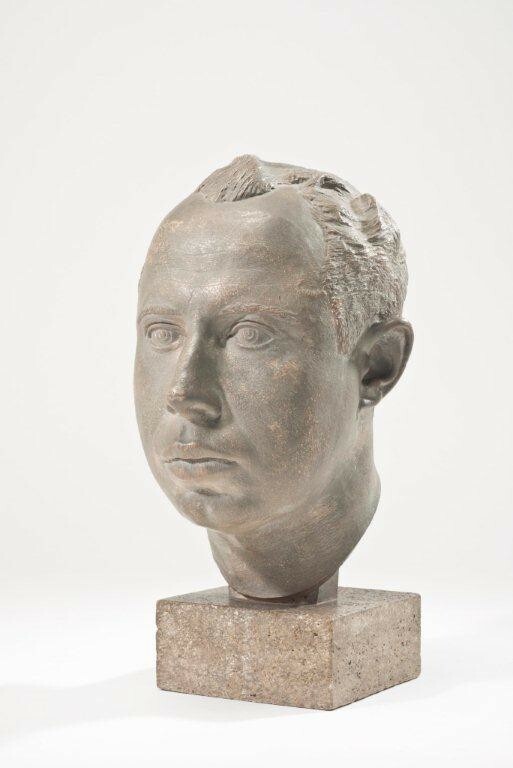 Flavien Gaillard, specialist at the 20/21 Design department: “We are extremely honored that the family entrusted Christie’s with the sale of this collection. 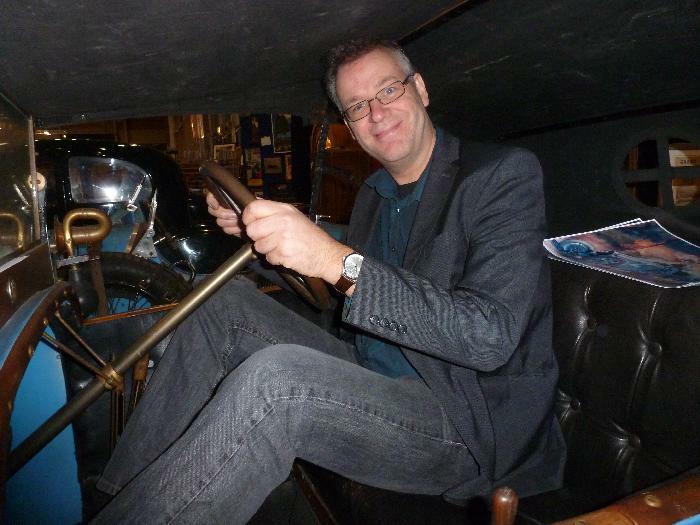 This sale puts an end to the journey of the greatest vintage cars collector in the world. It is the last opportunity connoisseurs have to enjoy the collection as a whole, and acquire some of Fritz Schlumpf’s personal items. This previously unseen collection has remained within the family by descent and allows us to discover the hidden facets of such a charismatic collector. Within the collection, several items signed by Bugatti reflect Fritz’s passion for the Molsheim brand”. 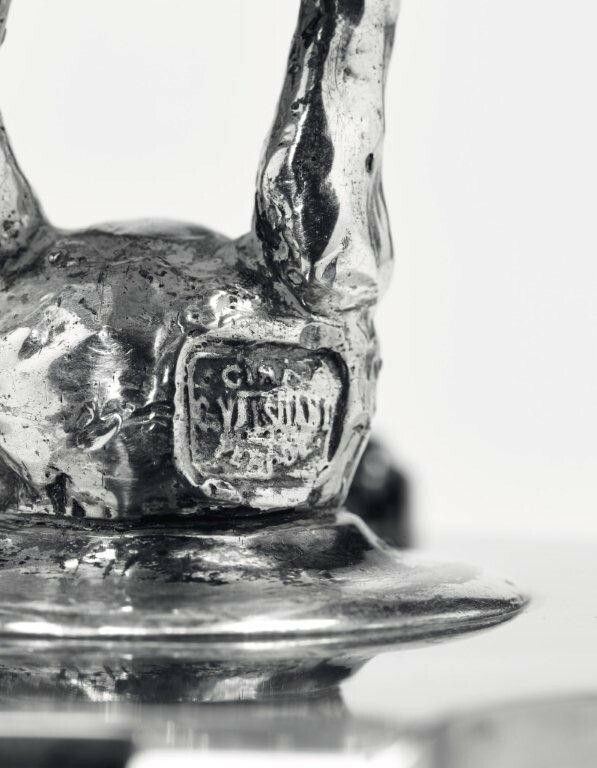 Among the highlights of the collection is the celebrated mascot “Éléphant dressé” made of plain silver circa 1928 by Rembrandt Bugatti for the legendary Royal Bugatti (estimate: €150,000–200,000). This mascot was cast by Valsuani and adorned this car of which only six were ever made. Considered the most expensive car at the time, Ettore Bugatti wanted to pay tribute to his brother, who had passed away only few years earlier. 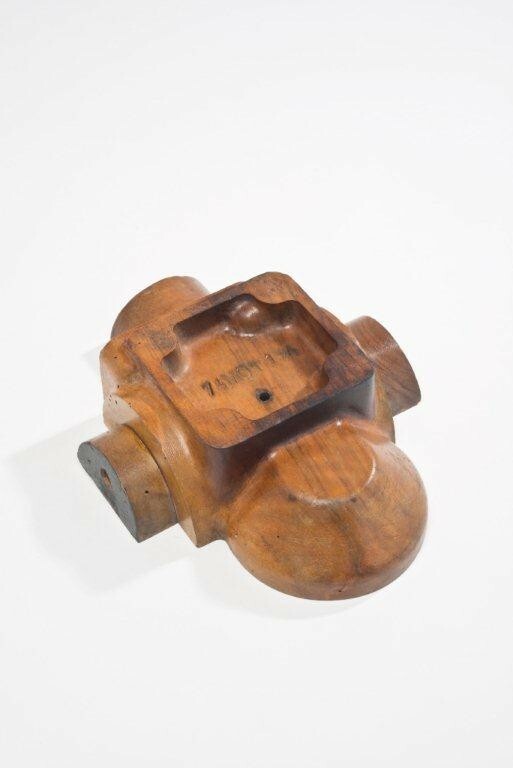 Ettore went to his brother’s workshop to pick an original model from 1904 that he cast to adapt into a radiator cap. 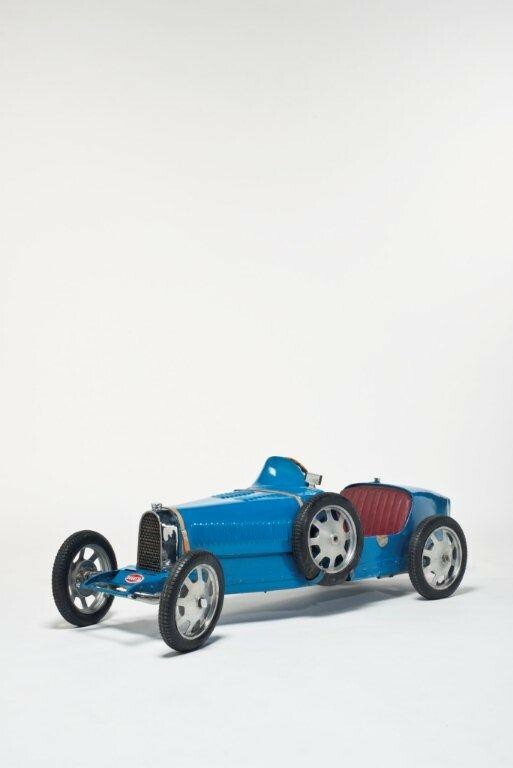 Alongside this legendary car, a 1902 Rochet, a 1906 Piccolo and a Baby 52 Bugatti model car for children will be offered during the sale. Richard Rodier, consultant for the Fritz collection: “It is an honor and a true pleasure to be involved in the sale of this remarkable collection, a beautiful legacy of a rich and fascinating life”. A Hamilton, New Zealand, car collector is "thrilled" to have won an auction at $500,000 for a rusty car he has to spend another $500,000 (NZ$) to restore. 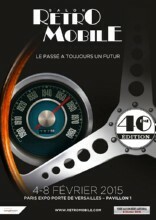 Sixty classic cars, unearthed last year in a barn in France were auctioned last weekend in Paris. Tom Andrews, 64, owner of Classics Museum, was excited to learn from his European agent that a 1937 Bugatti Type 57 Ventoux, was among them. 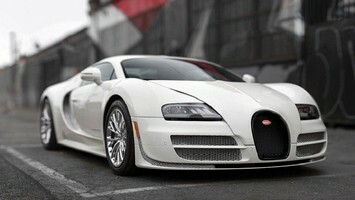 "The Bugatti is something we have been wanting for a long time and it's a very valuable and rare car," Mr Andrews said. "I was thrilled when I got it for just under $500,000." Mr Andrews is paying $10,000 to ship the car back to New Zealand and about the same amount as he paid for the car to bring it back to life. "We knew what we were getting. The vehicle will need extensive restoration and I'm expecting it to take at least two years," he said. "But at the end of the day, the car would be worth at least $1.5 million if not more." 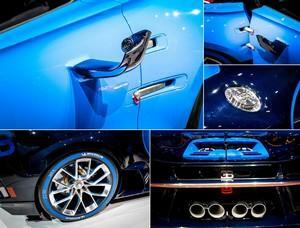 Mr Andrews said the Bugatti will be the only one of its kind in New Zealand, and will be displayed at his museum. He owns about 140 classic cars, but said this one was "definitely the most valuable". February 1, 2014 Caroline Bugatti "Sac de Voyage"
I first saw them on a GP Bugatti at the Mullin museum Bugatti exposition in Oxnard, gives you more storage capacity for one of those nice long rally's! The bag fits all sizes of spare tire, and can be easily attached, leaving the spare tire with just a nice leather cover. And yes, maybe it even does fit your Alfa as well..
3 Peugeot Bébé enthusiasts from the Netherlands, who together have the largest collection of Peugeot Bébé's (together with the Schlumpf museum) recently started the Peugeot Bébé register ! They know have 65 of those lovely tiny cars (see the above photo, your editor in a 1911 Peugeot Bébé) in their register, as well as a load of nice early photographs. January 16, 2014 Those crooks are still out there! You are a despicable criminal con man of the worst kind, no doubt professionally luring and steeling money off naive men, defenseless old women and young innocent virgins alike by means of skimming the internet for goods, services and items through „wanted” advertisements. I had a search ad for certain gearbox parts on the Bugatti Page, the well-known Bugatti related internet medium, in March, 2014. I had you in my gunsight 10 months later when you on the 15th of December, 2014 approached me out of the blue by mailing me that you had the gear parts for sale „in an excellent shape and good condition”. Some 15 e-mails back and forth you have demonstrated your ruthlessness in detail. While there is no such thing as PayPal not working at any length of time as stated by you and that you therefore only accepted an untraceable Western Union payment method, on top of this you also wanted €14.500 for the deal whereas newly manufactured first class quality gears would not exceed the value of €2.000. Just to check your con scheme I had told you that I had an offer on hand in the region of that unrealistic high amount. By further positively confirming on my request that the gears had octagonal holes, not hexagonal ditto and that the material was yellow coloured brass you demonstrated naive stupidity, complete ignorance and total lack of knowledge about the subject of gearwheels. Everybody in the business know that neither such shapes nor materials are physically possible, only square shaped holes and steel material makes mechanical sense. And what nonsense about FedEx covering the import duty into Europe as you said? By the way, your Nigerian address is not known to Google Maps and therefore most probably as false as your motives. All in all, I think that there is a fat chance that you belong to the criminal community of, say, Nigerians (?) living off social security in, say, Rotterdam. If I ever meet you in person I will flatten further your flat nose and fat lips. In the meantime you bet that the Bugatti world will be warned against you and your likes by the imminent publication of this sad case. People in the know will also have a good laugh when learning about the stupidity you so amply have demonstrated throughout your correspondence. Spare your further efforts Henry Bateren, the Bugatti community members will never pay up front via such means as the Western Union money transfer system. For the record it remains for me to state that the above comments have no bearing whatsoever of racial, ethnic or geographical issues. Built specifically as a grand tourer, but with exaggerated speed and agility, this 1927 Bugatti not only has an imposing marque pedigree but also an impressive provenance. 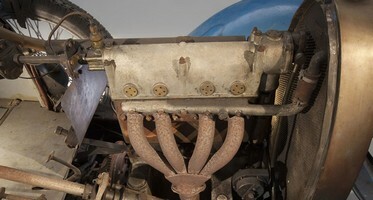 The first Bugatti eight-cylinder Type 30 models were built in 1922, and, because of the car’s popularity and reputation, the blueprint remained basically unchanged for the Type 38 and its successors. 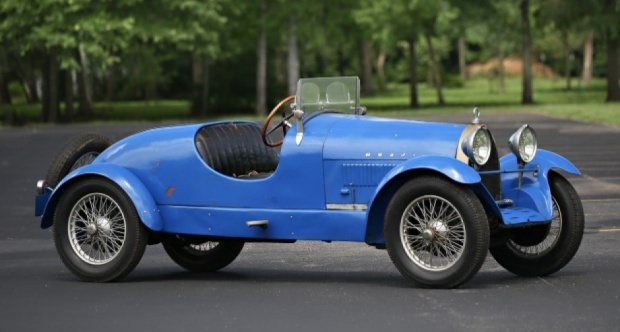 According to the American Bugatti Registry, this Type 38 was purchased new by Elizabeth and Vincent Junek, the famous Czech motor racing couple. As stated by Automobile Magazine, Elizabeth was considered “the greatest female driver of her era.” The American Bugatti Club believes this Type 38 was Elizabeth’s reconnaissance car, used to scope out the course for the 1928 Targa Florio, which she went on to finish 5th Overall in her Bugatti Type 35B. This lovely Type 38 Roadster was later acquired by Dr. Peter and Susan Williamson for their world-renowned Bugatti collection. The current owner acquired the car from the Williamson collection in 2008 and has preserved it in a climate-controlled garage, as befits the car’s historical value and prestige. This delightful unrestored rarity is finished in blue with black leather interior. 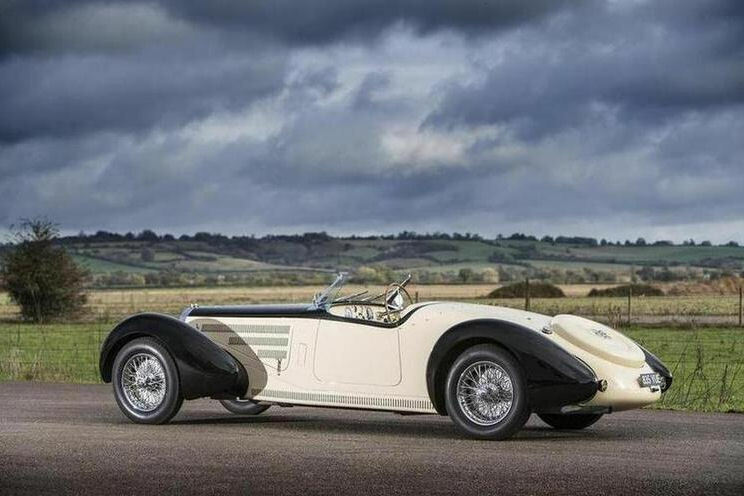 While not currently in running condition, it is largely complete and perfect for a sympathetic restoration or to be enjoyed as a static piece with a noteworthy provenance and the regal bloodline of the early grand touring Bugattis. 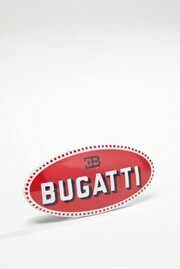 With the histoory of Bugatti as a special theme! 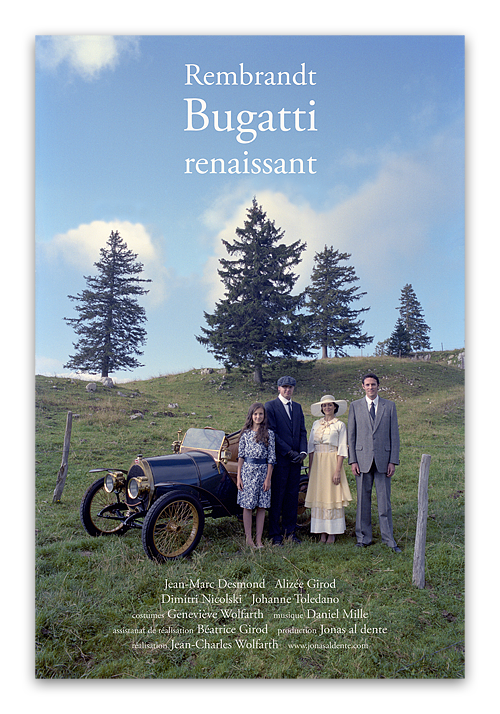 A movie about Rembrandt Bugatti. The ultimate his 'n' hers motors: first and last ever Bugatti Veyrons go up for sale and they are yours for just (probably) £3.5 million. 2006 Bugatti Veyron 16.4 "001"
2012 Bugatti Veyron 16.4 Super Sport "300"
As usual, the contact for inscriptions is Michel Weber. 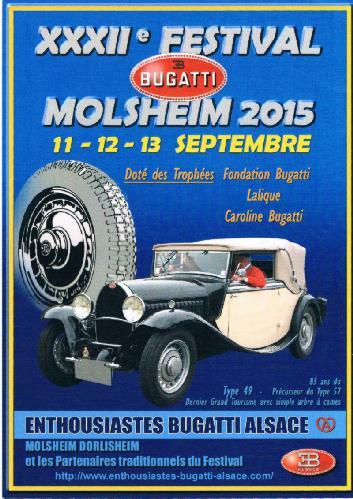 I'm not really sure how many Bugattis will show up, but I'm sure there will be, as there were last year. And: Though there is indeed a fly-in as well, I'm pretty sure that Scotty Wilson and his Bugatti 1000P replica will not show up. They're still in the US, preparing for the 2nd flight! Dozens of Australian Bugatti owners are planning to assemble a display of French racers worth in excess of $15m at this year’s Motorclassica, which is once again set to take over Melbourne’s Royal Exhibition Building from 23-25 October. The gathering will mark the Bugatti Club of Australia’s 50th anniversary, and will highlight the marque’s compelling history with no fewer than 15 historic examples, including a rare ex-Hope Bartlett and Bill Thompson Type 43, which hasn’t been seen in public for 40 years. A barn-find Type 37 will be put on show in as-found condition, and it will be joined by a Holden-engined example that was converted during the 1950s. While the emphasis will be on grand prix cars, a stunning Art Deco-styled Type 57C Atalante is sure to draw a huge crowd throughout the weekend. which were made probably in 1944 in Eindhoven, Holland. Taken at the front of villa "De Driehoek" of Anton Schellens, Parklaan, Eindhoven. The photo reads: Bull's head. Bull's head is the insignia of the 79th armoured division. by Dolf de Ridder, and is now in a beautifully restored condition. Does anybody have more photographs of Bugattis in War colours? WW1, WW2, or maybe a later war? Entries invited, trip could be combined with Le Vie en Bleu the following weekend at Prescott. We are pleased to announce the “On the Route of Ettore” rally. This event will take place in Alsace between May 27th – 31st, 2015. We are planning an exclusive rally with 3 days of driving based at the charming hotel & Spa: Château d'Isenbourg in Rouffach on the Alsatian wine trail, a few Kilometres south of Molsheim and Colmar. 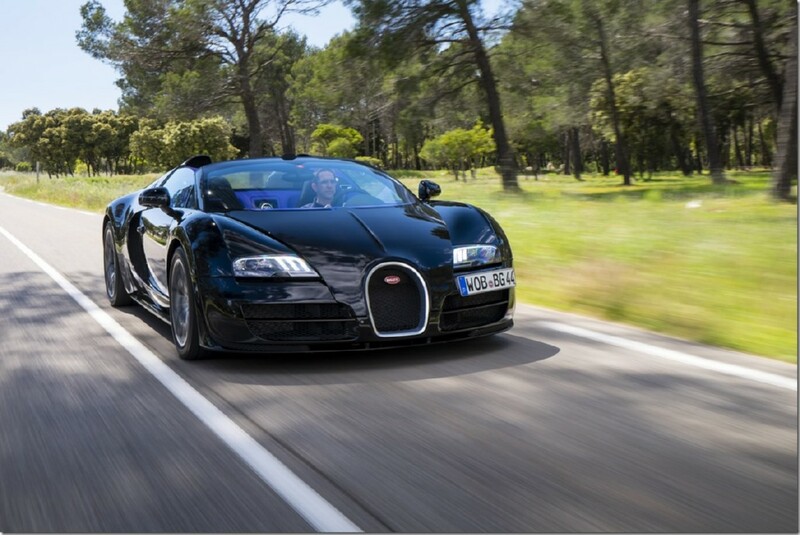 We would like to invite you to join us along the beautiful roads that will bring you to drive your favourite cars with your favourite Bugatti friends. Driving on small roads in one of the most beautiful parts of Alsace, Vosges and Balck Forest, surrounded by amazing landscape, good food and lots of interesting venues to visit. We thought to an itinerary in order to emphasis pleasant drive and visit. 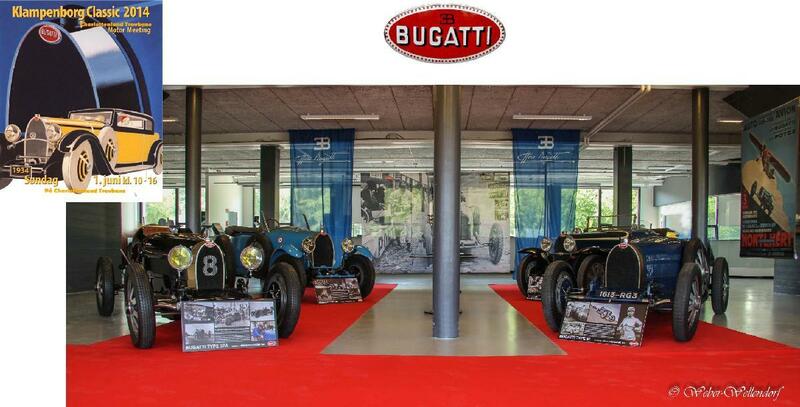 The first day will be dedicated to Art, culture and Bugatti history including the visit of the famous Lalique Museum. The second day will bring us in Germany where we’ll drive in the middle of the picturesque Black Forest with some Baroque visits. The third day we’ll discover the traditional Alsace, food cheese and wine and romantic streets in the Vosges. Our aim is a group of 20 classic cars, good friends and excellent driving in the place where Ettore spent his professional life. 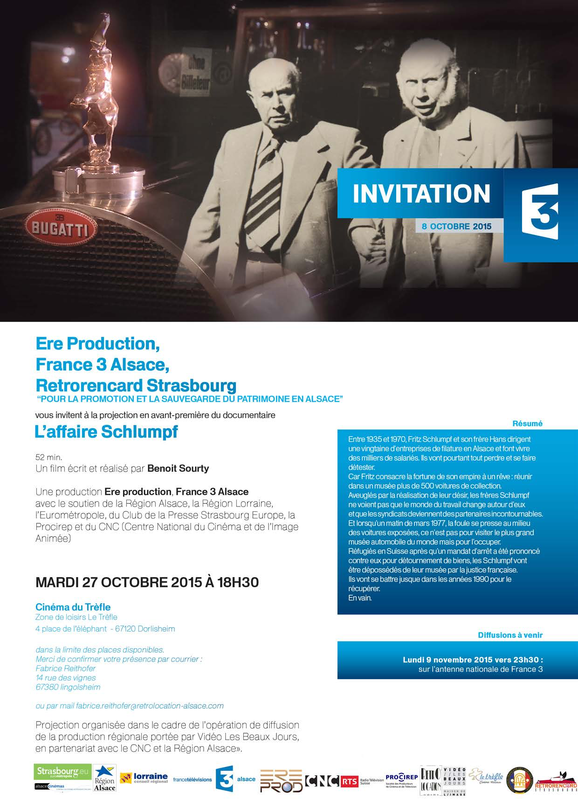 “On the Route of Ettore” promises to be fantastic opportunities for you to exercise your favourite car as Ettore Bugatti intended. It is not to be missed! "Jake Laidlow" was one of three brothers who worked at the post office. The other two were pretty rough. Jake was a good sort. 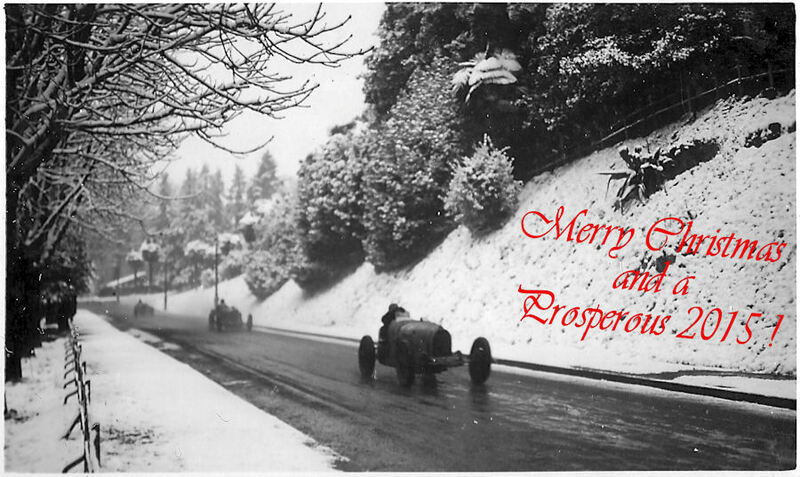 He knew I liked cars, so he loaned me these two pictures taken in England during the war. the British. 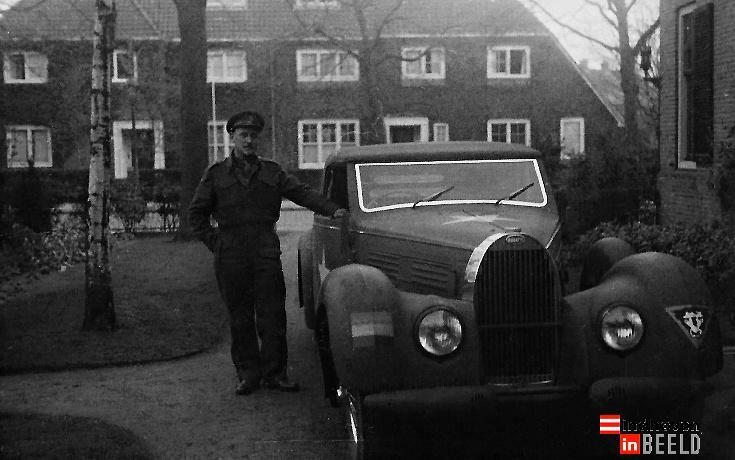 He owned the Rothshild Bugatti Atlantique. Jake often rode in the car which they ran on AVGAS stolen from the Sunderland in a water churn. At some point in the war private motoring was pretty much outlawed. 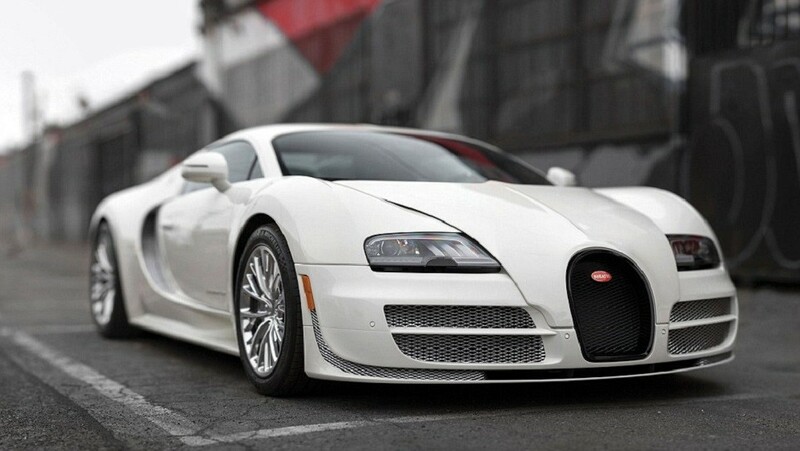 The Bugatti was shipped back to New York City where the pilot's wife racked up quite a few speeding tickets. There were 600 classics, hot rods, muscle cars and motorcycles at the Lake Mirror Classic in Lakeland last weekend, 200 of those arrayed around Lake Mirror for the annual concours d’elegance. Area winners included a Golden Swan in the American Modern class to Ponte Vedra Beach resident Leo Sugg’s 1961 Pontiac Ventura; and Best in Class — Classics to the 1932 Lincoln Judkins Coupe owned by Wellington and Janet Morton of Saint Johns. Also on display were Tom Bungay of Jacksonville’s one-of-one 2002 Volkswagen Beetle Turbo, the only VW ever done by Porsche 911 modifier Alois Ruf in Germany with 250 horsepower, huge brakes and Recaro racing seats. Gleaming amid a flock of Vettes was Ronnie and Pam Edge’s 1957 Chevrolet Corvette, bought new in Jacksonville three owners before. “These are really spectacular. This Bugatti in front of us is just eye-dropping gorgeous,” said show founder and Lakeland resident Ford Heacock. That Bugatti was one of the Best in Show winners, both won by Richard Workman of Windemere. 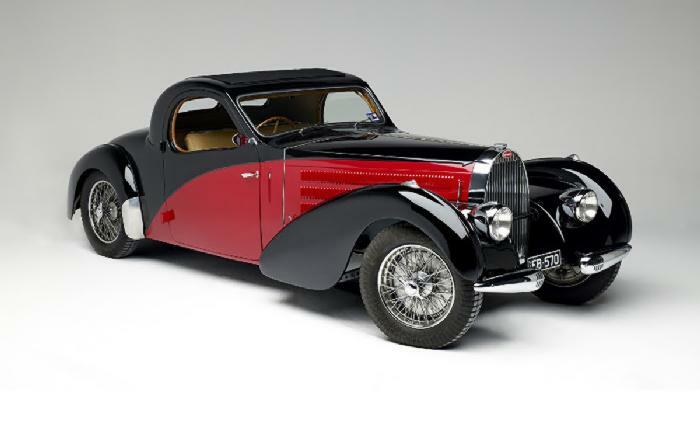 The classic winner was his shapely 1938 Bugatti Type 57C coupe with supercharger; the non-classic was his imposing 1956 Mercedes-Benz 300 SC. The Mercedes also won the Amelia Island Concours Award. 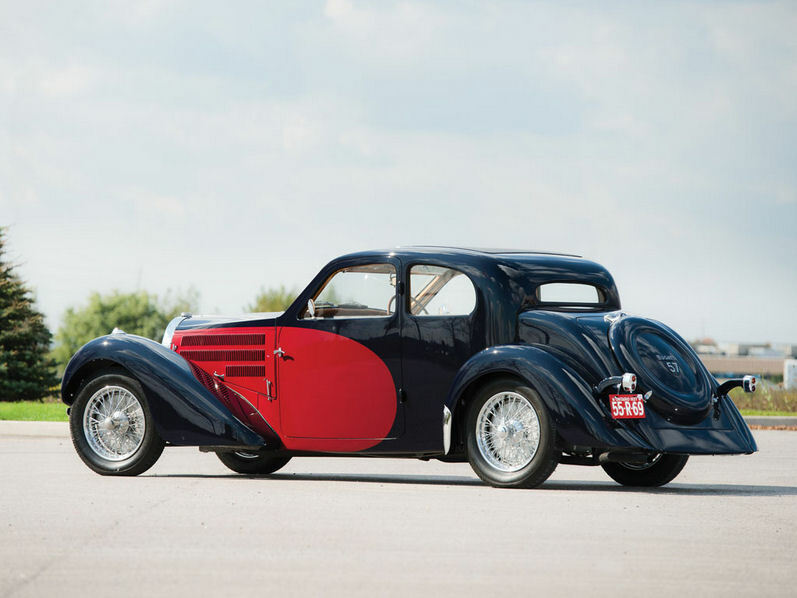 When Rick Workman bought his black 1938 Bugatti Type 57C at a car auction two years ago, he remembered the advice of veteran car collectors: Buy what you love. 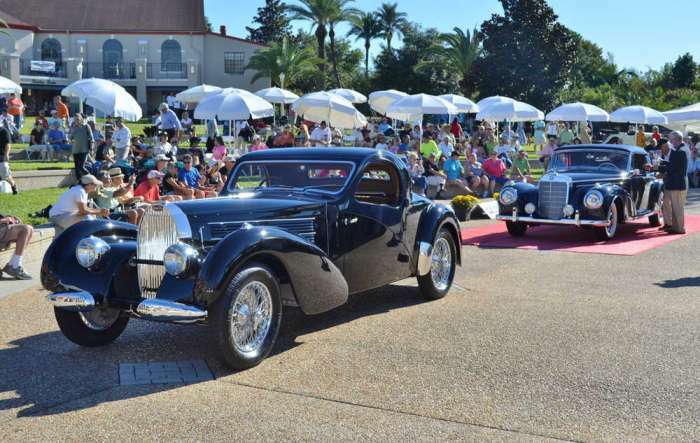 The Windermere, Fla., resident was new to car collecting, but his instincts proved right on Sunday, when his car was awarded Best of Show at the 13th annual Hilton Head Island Concours d'Elegance & Motoring Festival. "And I sure do love that car," Workman said. "I looked at it and thought it was an extremely beautiful car. It's a classic beauty." The award was presented by the festival's honorary chairman, Edsel B. Ford II, great-grandson of Henry Ford, the founder of Ford Motor Co.
Workman bought the car in mint condition, and Sunday's award came fresh off his Best of Show win in October at the Lake Mirror Classic Auto Festival in Lakeland, Fla. 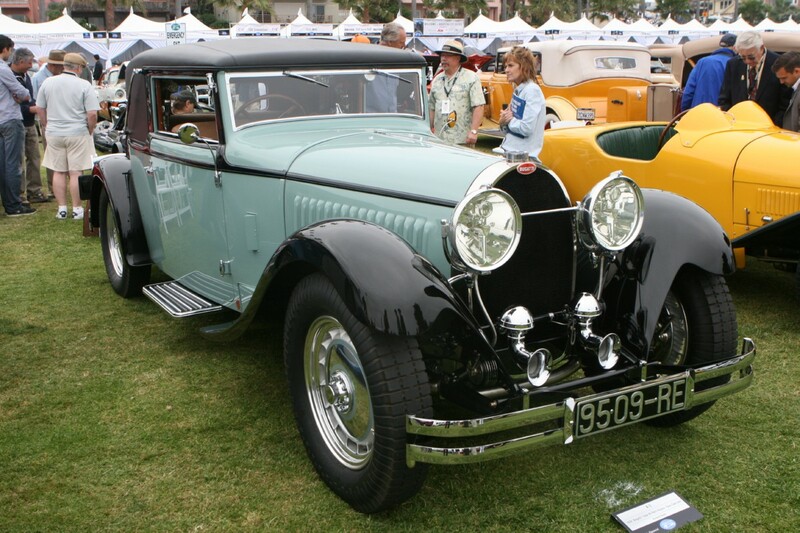 The Bugatti was in the Hilton Head show's Rare Wheels Collection; Workman said only 17 of the coupes were made. This was Workman's first time at Concours d'Elegance, and he says he can't wait to return next year. Currently we’re busy writing a book about the Schlumpf affair. In this book the truth behind the affair will be told. For example that Fritz Schlumpf had tried to sell his whole collection to keep the factory running. There will be a lot of new facts and never published pictures in this book. But of course we’re always looking during the writing for new facts / documents / photo’s that could make our new book better. If you have some information / documents / photo’s that could help us or could be valuable for our new book. Don’t hesitate to contact us. p.s. 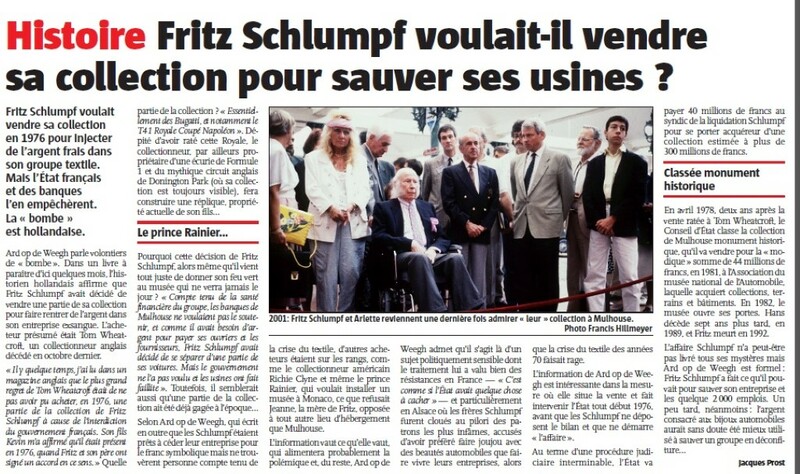 The text with the top photo is wrong, the visit of Fritz Schlumpf to the museum was 10 years earlier, in 1991. 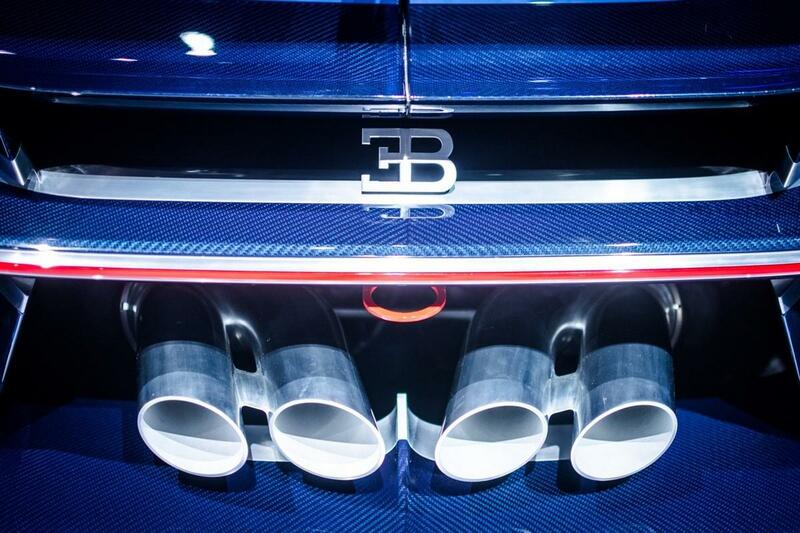 As Bugatti SAS is just about 10 cars away from delivering the last of the 450 Veyrons (300 closed, 150 open) in a myriad of versions and special editions, they must work hard to get the next model ready. Very little is known about this next model, just that it is again a supersportscar, with probably even more power and maybe some type of hybrid as well. 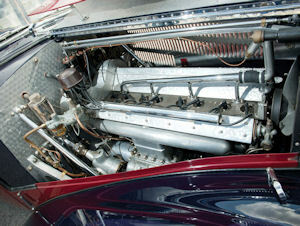 The photo above was taken about a week ago, showing the test of the new engine, in an old style Veyron. No details of the engine can be seen, I'm sorry. 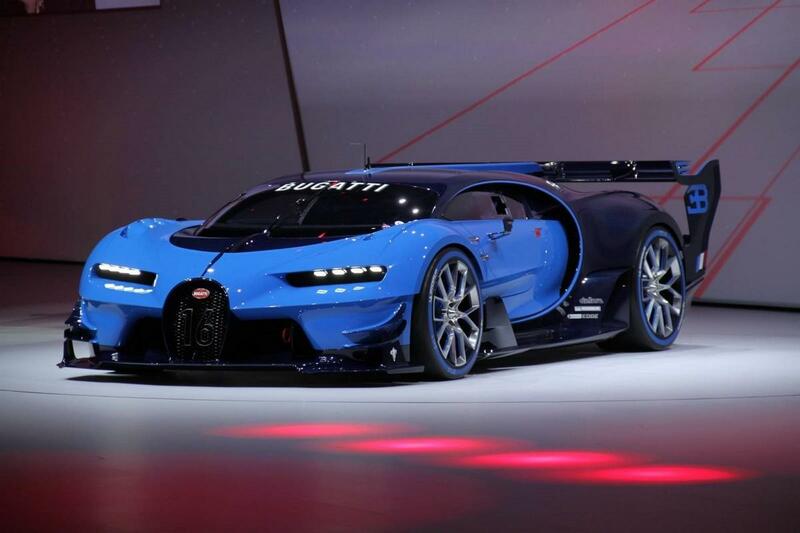 Knowing Bugatti, we will have to wait for the official presentation to know everything. 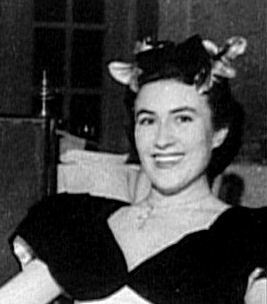 Last Sunday, September 28, 2014, Ettore Bugatti's second wife Geneviève Marguerite Delcuze died at the respectable age of 94. 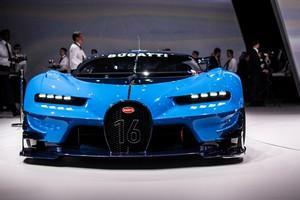 She and Ettore Bugatti married on October 12, 1946. Together they had two children, Thérèse and Michel. 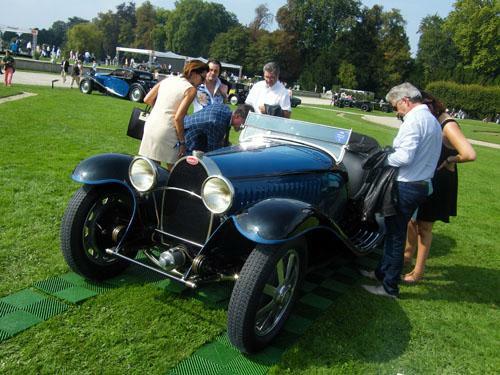 After Ettore's death in 1947, she, together with Roland Bugatti, Pierre Marco and Geneviève's new husband René Bolloré led the Bugatti factory through the 1950's and early 60's. 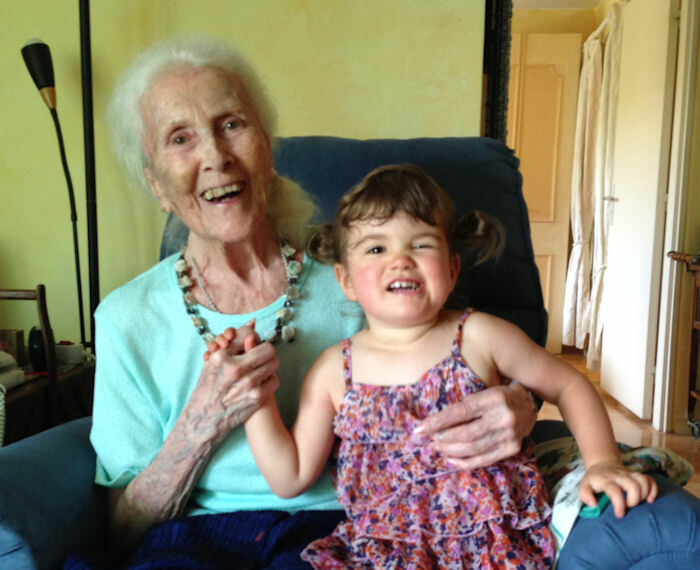 Below a photograph taken August 2014, together with her great-granddaughter, one of Caroline Bugatti's daughters. We wish the children and grandchildren strength with this loss. September 17, 2014 Help find the stolen baby! 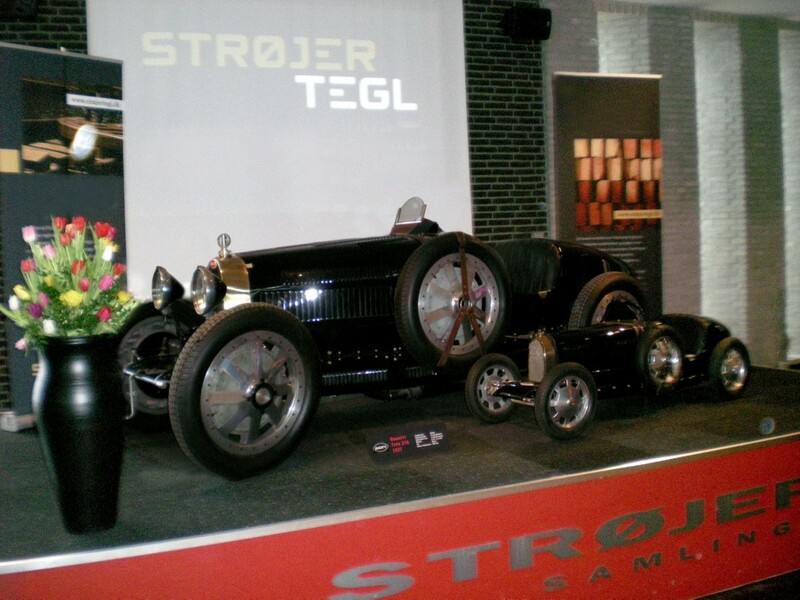 A baby Bugatti replica belonging to The Strojer Collection in Denmark has been stolen. The little car had temporally been exhibited in the front window of a local fashion shop. The thieves smashed the window at night and took away the kids car which usually was to be seen alongside a full size Type 37 GP rep. in the Collection. Thousands of visitors must have seen the small car which for nearly 15 years has been one of the attractions of the Strøjer Collection. 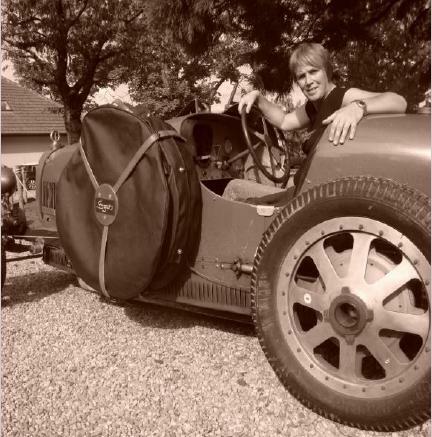 The car was commissioned by Jørgen Strøjer Hansen in 1999 and was constructed in Denmark with utmost accuracy to replicate the original baby Bugattis built by the Bugatti factory. All materials are as originally – i.e. steel chassis, aluminium castings, axles, and hand formed aluminium bodywork by Peel. 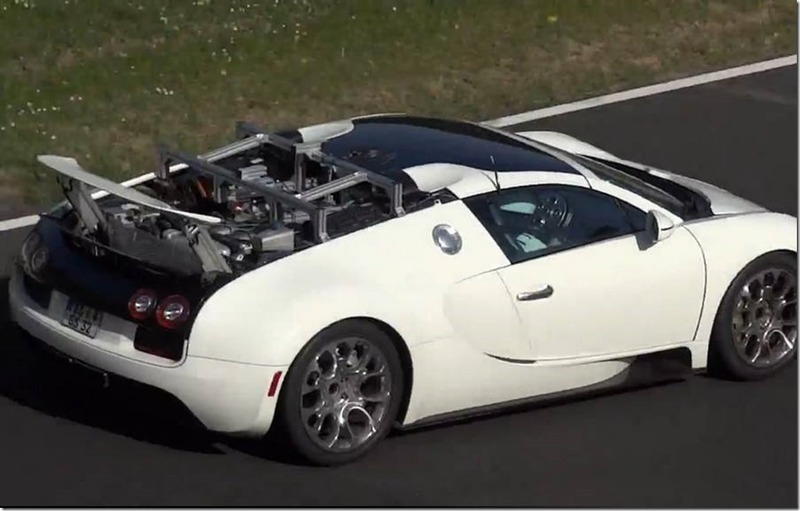 The body is fitted with Bugatti body screws wire locked with copper wire. The alu wheels are from Crosthwaite with tyres of beefier section giving the car an easily recognizable feature. The little radiator is in polished brass giving it yet another unique feature. Many photos from the build exist and can be provided in case anyone should see it offered for sale. Original title: Delahaye is best of show at astounding new French concours The inaugural Chantilly Arts & Elegance took place just north of Paris on 7 September in the sprawling grounds and stunning manicured gardens of the imposing chateau. 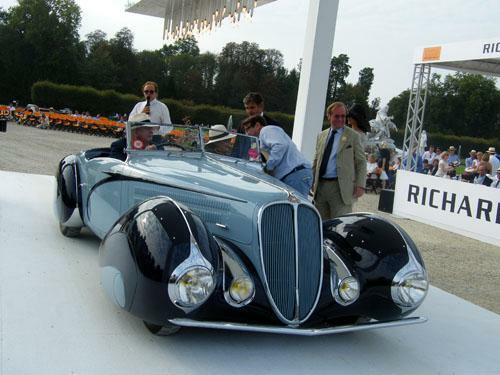 The scale of the event, which was larger than many had anticipated, was matched by the quality of cars that made the journey to Picardie – in particular, the 1937 Delahaye 135M that scooped the top award. 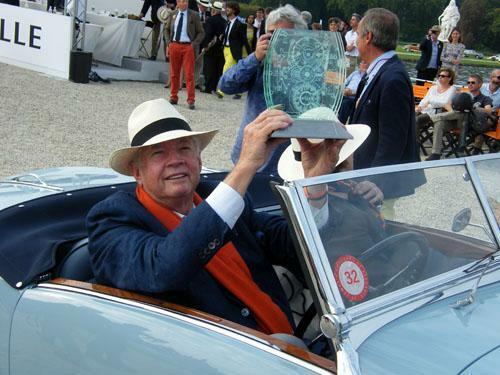 A triumphant Peter Mullin accepted the Best of Show award for his stunning French-built deco beauty. Surprisingly, it was to a backdrop of largely empty seats, which were free for all visitors to use, in contrast to other concours' that reserve such good views for VIPs. Equality and egalitarianism are alive and well in France. 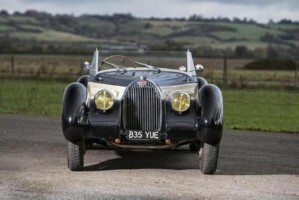 The car was entered into the Tribute to Bugatti class, though its original condition – complete with cracked windscreen and a healthy coating of dust – outshone many in the Untouched Cars class, picking up an award in the process. A 1933 Type 55 with Figoni et Falaschi coachwork also proved popular with visitors, and was mobbed throughout the afternoon. It was brought to the event from the United States by The Revs Institute. 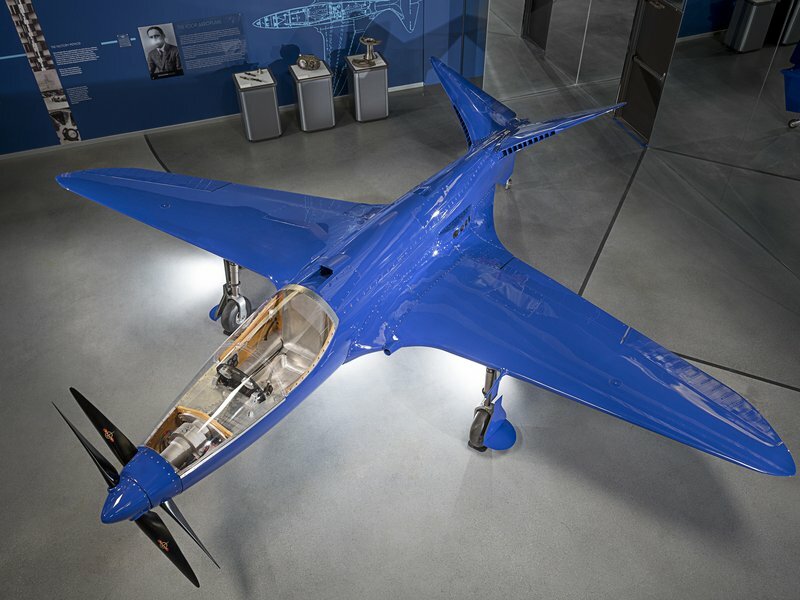 The article in the September issue of Air & Space Magazine is titled: "Aviation’s Sexiest Racer, Ettore Bugatti built fast cars — and just one airplane." and was written by Preston Lerner. The complete article can be read online, and includes various photographs. Go to www.airspacemag.com to read the article (3 pages, one has to click through). Also on the same site are various sketches and drawings of the Bugatti 100P airplane. No surprise results, all results for the classic Bugattis are more towards the lower end of their price estimates or just below. Will we be seeing some kind of price drop? The 2014 Concours d’Elegance of America at St. John’s Inn, located in Plymouth, Michigan, was held on Sunday, July 27th. The 36th annual running of the event marked the fourth year at its new home after moving from Meadow Brook Hall in Rochester Hills. More than 250 vehicles were on display on a part of the 27-hole golf course located at the Inn. Highlights and special classes covered the evolution of the sports car, the visionary designs of Virgil Exner, Jet Age pick-ups from the fifties and sixties and the 50th anniversary of the Ford Mustang and Lamborghini. In addition, there was a full field of the traditional concours fare comprised of American and European brass, antique and classic cars. The highlight of the event was the awarding of the best-in-show trophys, one to an American vehicle and the other to a foreign vehicle. The Best in Show – American was won by a 1932 Duesenberg Model J Convertible Victoria owned by William and Barbara Parfet of Hickory Corners, Michigan. Best in Show – Foreign went to a 1939 Bugatti T57C Cabriolet (CHassis 57819) from the Patterson Collection of Louisville, Kentucky. The 1932 Duesenberg wearing coachwork by Walter M. Murphy is believed to be one of the earliest Convertible Victoria bodys to be built on a Model J chassis. 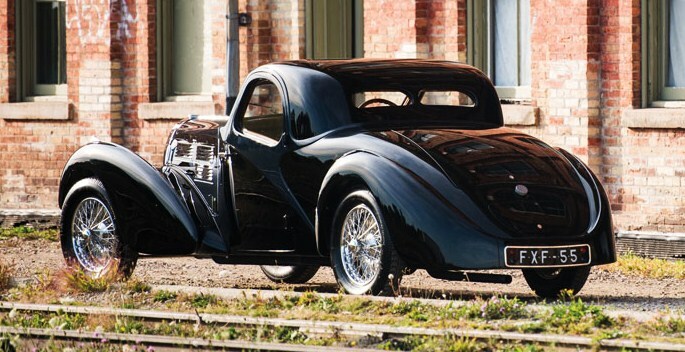 The 1939 Bugatti T57C when new was fitted with very distinctive coachwork by Voll & Ruhrbeck, a German coachbuilder. Two of its styling elements of interest are the unusual art moderne style grille and the peaked and razor-edged rear fenders. 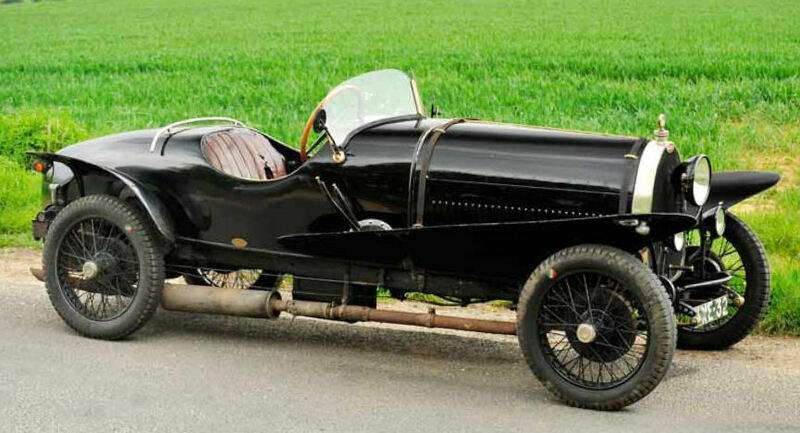 1925 Bugatti T23 Brescia Torpedo, Chassis #2519, Engine #893, estimate: €250,000 - 310,000, sold at € 550,144 ! 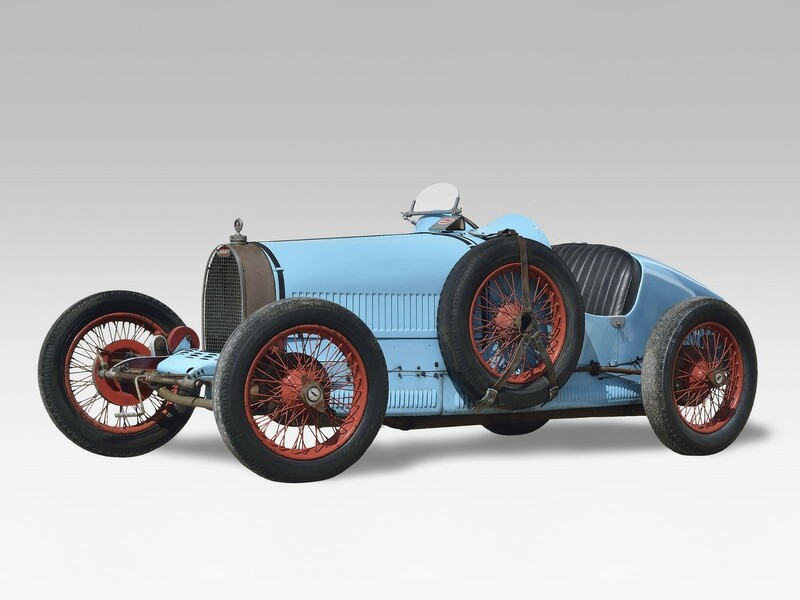 A 1927 Bugatti Type 35C Grand Prix car belonging to so-called 'Bugatti Queen' model, dancer and racing driver, Hellé Nice is set to steal the limelight at Gooding's Pebble Beach sale, taking place on 16-17 August. 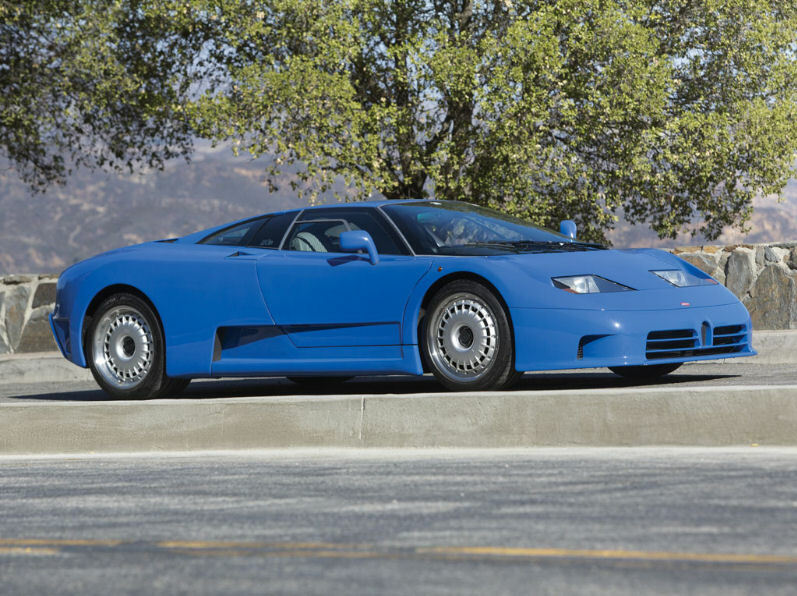 It is expected to fetch up to $3.5m. 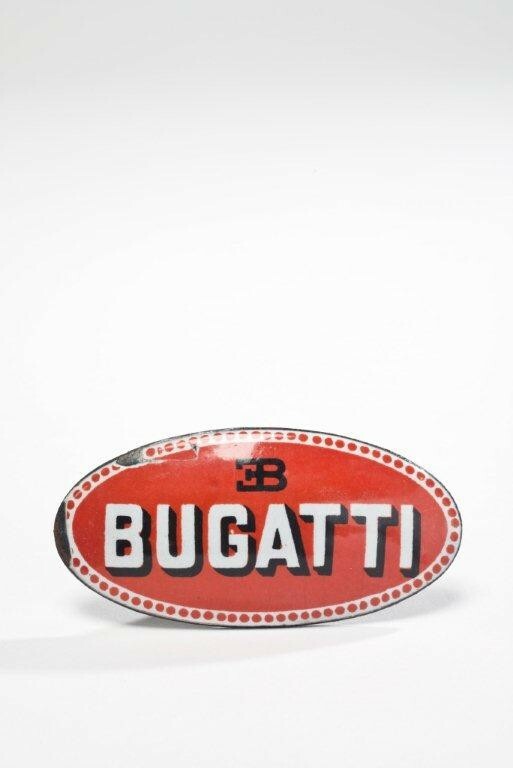 The Bugatti was purchased by Nice when it was three years old and was used extensively throughout the 1920s. It features a supercharged 2292cc straight-eight engine capable of producing 130bhp and propelling the car to over 130mph. The right-hand-drive car has been restored several times, most recently being repainted from French Racing Blue to its original shade of Taupe. 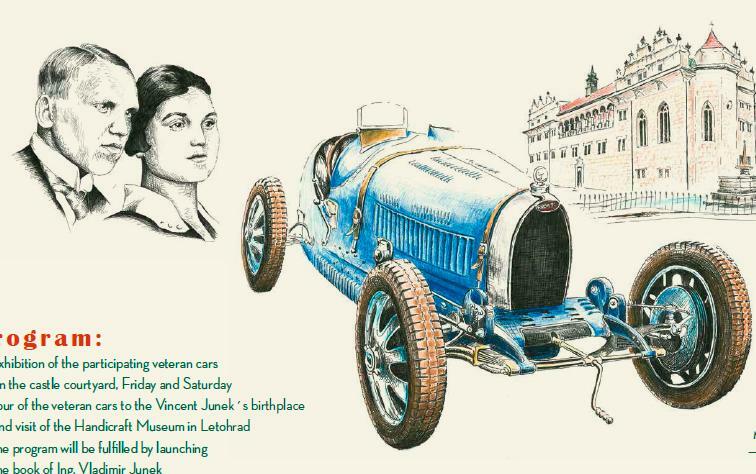 Nice was a pioneer in the truest sense of the word, becoming a successful racing driver after being inspired by Charlotte Versigny, who had campaigned a Talbot in 1927. 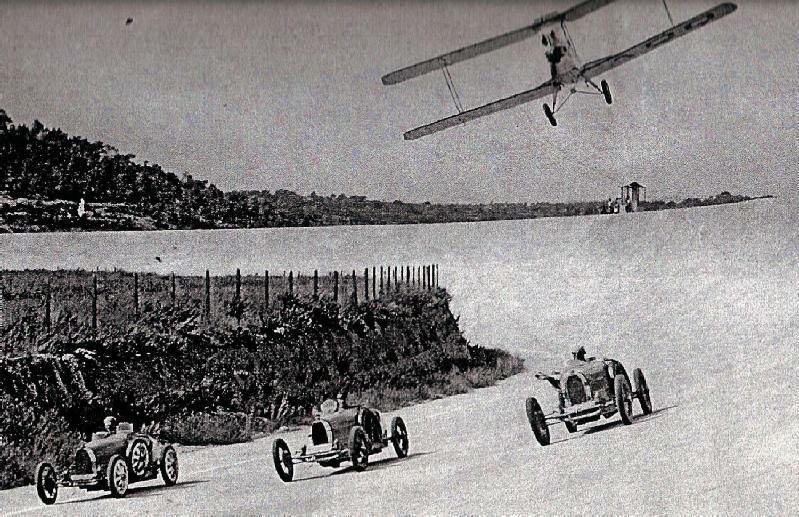 Two years later Nice won an all-female Grand Prix at Montlhéry at the wheel of an Omega-Six, and in the process set a new Land Speed Record for women. Her relationship with Phillippe de Rothschild led her to be introduced to Ettore Bugatti, which in turn resulted in her piloting the Type 35C in five Grands Prix in France. Countless hillclimbs and sprints followed, as did an outing on the Monte-Carlo Rally, before she suffered a serious accident at the Sao Paulo Grand Prix in 1936, in which she was thrown from her car and several spectators were killed. Though the trauma of the accident undoubtedly affected the star, it was the Second World War that would effectively end her career. In 1949 she was accused of being a Gestapo agent by Grand Prix driver Louis Chiron. Despite his lack of evidence, it resulted in her never driving competitively again. As part of the Monterey Car Week (11 – 17 August), Bugatti is celebrating the conclusion of its “Les Légendes de Bugatti” edition (Bugatti Legends). 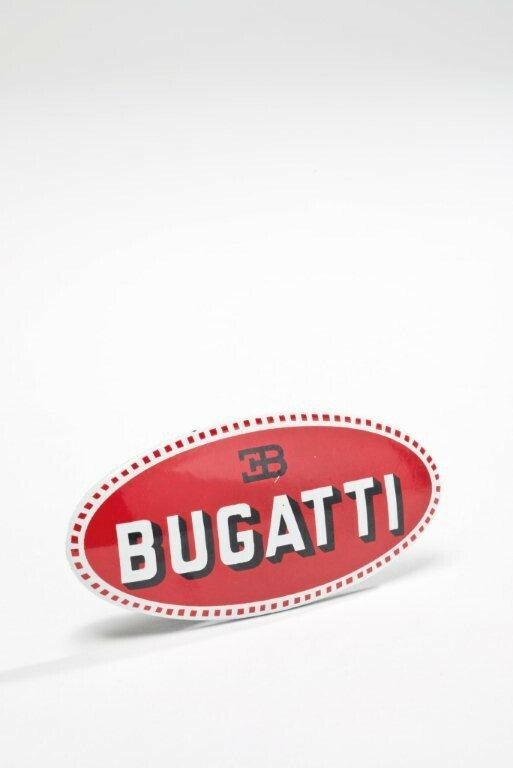 One year ago, Bugatti launched the exclusive model series during the Monterey Car Week at the well-known and attended automotive events “The Quail: A Motorsports Gathering” and “Pebble Beach Concours d’Elegance” with the first Legend. This year, the crowning conclusion will be held on August 15 at the same location with the world première of the company’s sixth Legend. It honors Ettore Bugatti, founder and patron of the brand, and is based on the historical model Type 41 Royale. As with the five previous Legends, only three of the final Legends model will be produced. It costs €2.35 million net. Bugatti is presenting all six Bugatti Legends together for the first and only time. A body of clear-coated carbon and hand-polished aluminium Exterior. 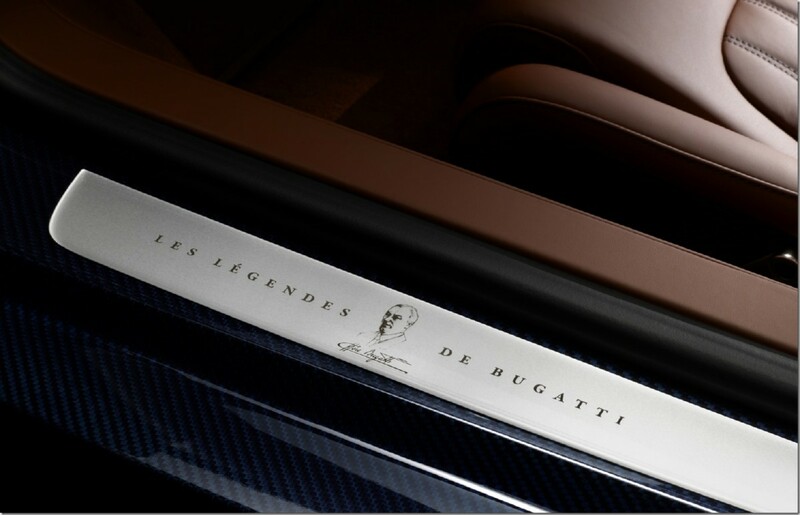 The design of the carbon body of the Legends model “Ettore Bugatti” is based on a 1932 Type 41 Royale with the chassis number 41111 and sports a “yin-yang” color split. The front part is made of hand-polished aluminium and finished with a clear coating. 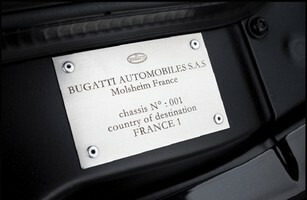 Bugatti is the only manufacturer to use clear-coated aluminium on a production vehicle. For the first time, this material is used for the entire front and side panels including the bonnet, the mirror bases and housings, the exterior door handles and the corners of the bumpers, the wings, the doors and the regions just behind them, the so-called “medallions” (in French). The vehicle’s rear, sill panels and A-pillar trims are finished with dark-blue exposed carbon. Finest cordovan leather in the vehicle interior Interior. 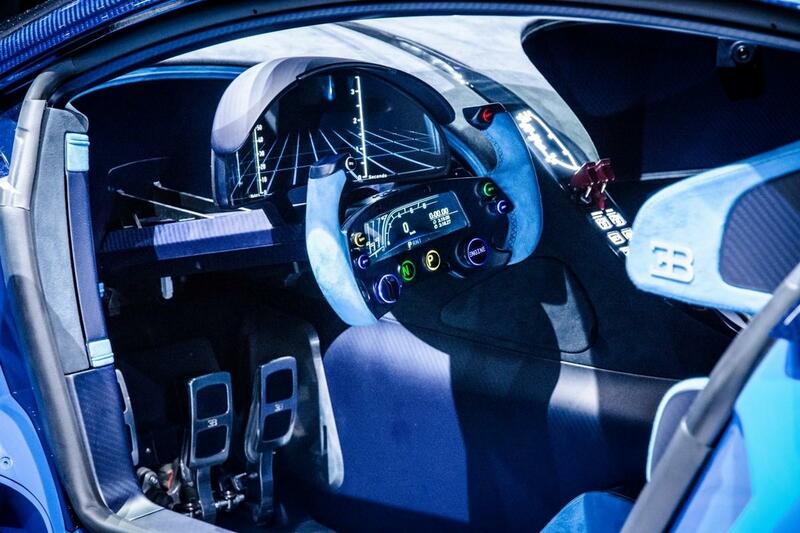 Bugatti is using two types of leather for the first time in the “Ettore Bugatti” Legend. Traditional calf’s leather – here in a natural brown (Brun Cavalier) – is used throughout the vehicle interior. Those parts that are typically touched by hand including the steering wheel rim, gear lever, door handles, centre console armrest and door handle recesses, the switches in the door trims and in the roof module are all jacketed in an exclusive, natural cordovan leather. 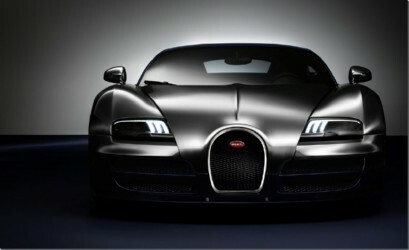 Bugatti is using this skilfully created leather – the tanning process alone takes around six months – for the first time. 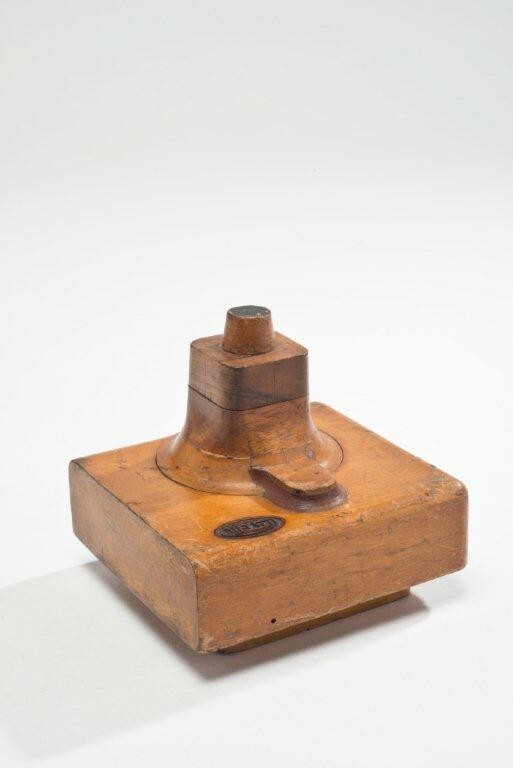 It is typically used for high-quality shoes and is particularly durable and sure to the touch. 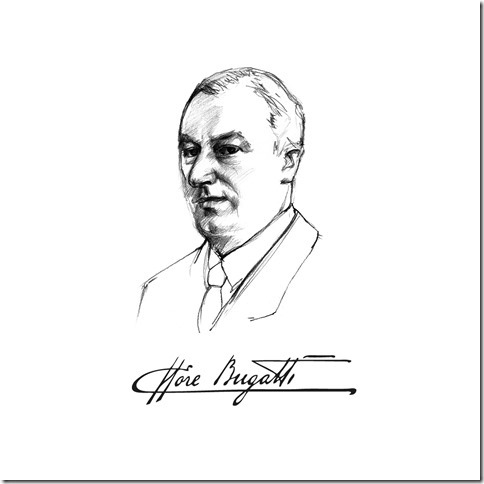 Ettore Arco Isidoro Bugatti – his full name – was born in Milan on 15 September 1881, the second child of this highly creative family. His parents hoped that he would pursue an artistic career like his father and grandfather before him. But instead he became fascinated with technology, leaving the “Accademia die Belle Arti di Brera” in Milan to begin, at 17, an apprenticeship in a bicycle/tricycle factory. There he built his first motorized tricycle, and soon thereafter his first automobile. The construction was so remarkable that it earned him a prize at an internationally recognised exhibition in Milan. 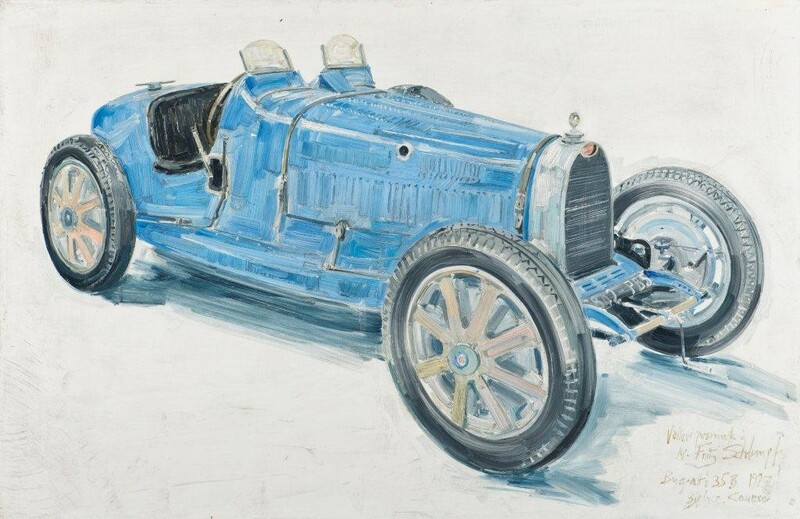 In the following year, he moved to Niederbronn in Alsace, where the manufacturer De Dietrich, impressed with Bugatti’s first construction, trusted him with the management of automobile manufacture. 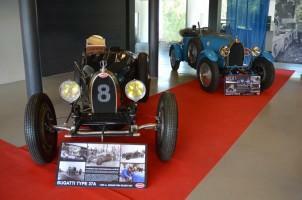 Ettore Bugatti developed new models and took part in several car races until 1904. After leaving De Dietrich & Cie, he took on a number of jobs in automobile construction, including a job at the Deutz gas engine factory in Cologne in September 1907. At this time, Bugatti privately developed a very light vehicle, the Type 10, which he built a little later under his own name. He left Deutz in 1909 and leased the empty buildings of a former dyeworks factory in Molsheim (Alsace) and founded his own automotive company. Production of the T13 began and grew year by year. The Type 41 Royale – automotive icon and “vehicle of kings” As a young man, Ettore Bugatti had always dreamt of building the most powerful and luxurious production car the world had ever seen. It was not until 1926 that he was able to turn his dream into a reality. With the acclaimed Type 41 Royale, he created a car that was in a league of its own in terms of performance, size, comfort, quality and elegance. 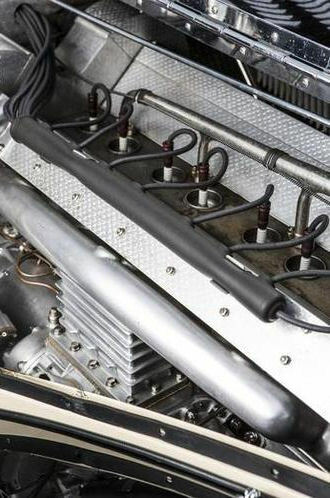 For its prototype, Ettore designed an 8-cylinder in-line engine with an overhead camshaft, a capacity of almost 15 liters and a monolithic head and engine block. 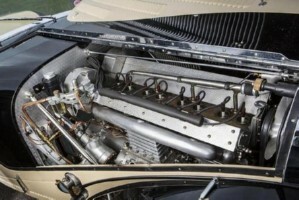 The production version had a 12.7-liter engine with the three valves per cylinder that were typical for Bugatti at that time. The engine produced around 300 PS at less than 2,000 rpm. The Royale is also regal in size: measuring approximately 6.5m long and 4.3m across the wheelbase, it weighs around 3 tonnes (approx. 6,600 lbs.) and boasts a 190-liter tank. 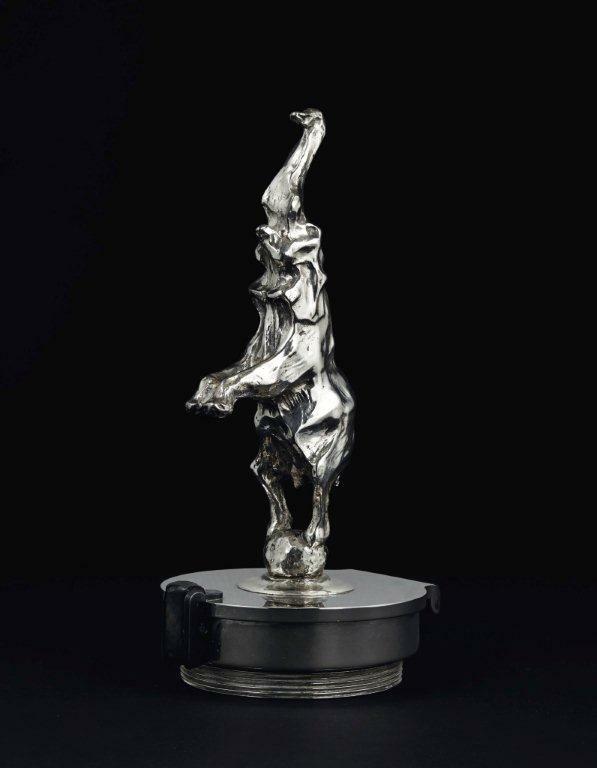 The car’s crowning glory is its radiator cap which features an elephant sculpture created by Rembrandt Bugatti, Ettore’s brother. 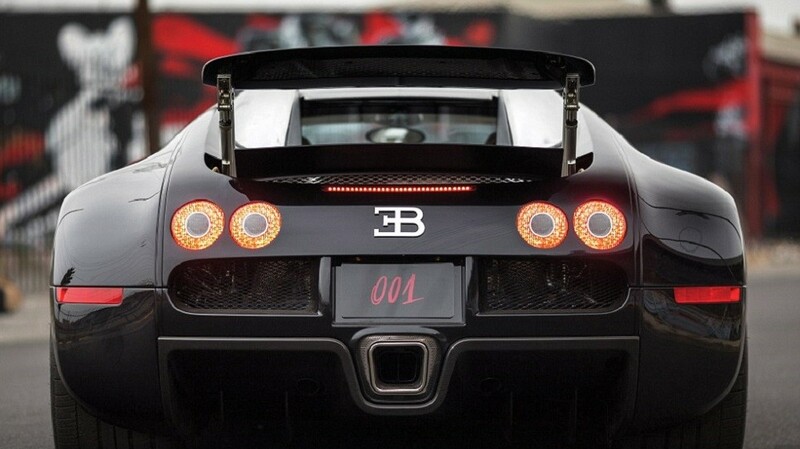 This elephant has since become a symbol that is synonymous with the Bugatti brand to this day. The difficult economic conditions in Europe and America at the time meant that Ettore was unable to achieve his goal of producing the 25 vehicles that he had intended to sell to various royal families and heads of state. Only six vehicles were built and all of them still exist today. Comment from BugattiPage: To be honest, I do not see any Ettore Bugatti in this "Legend". 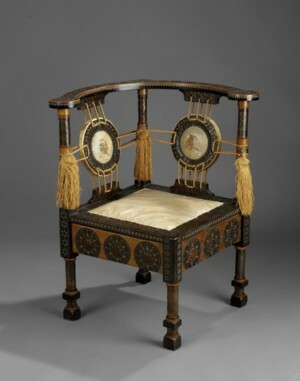 The famous Royale 41111 had a body designed by Jean, and the elephant was by Rembrandt. 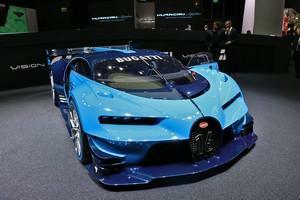 I wonder who on earth could sell this as an Ettore Bugatti "Legend". And for that, what's most legendary to the car is of course it's price tag. That is where it resembles the Royale. Probably the only thing about this Legend that Ettore himself might like, is the drawing below, of a race against a horse! Sunday 1st June marked the 30th anniversary or the popular Classic Meeting at a horse race track North of Copenhagen. As a special feature a small and exclusive Bugatti exhibition was held for the first time showing 4 rarely seen cars from a very limited number of Danish owned Bugattis. Untiring initiative taker to Klampenborg Classics, Kim Polte, says: We wanted to maintain the traditional concept of a nice Sunday out yet add something new. 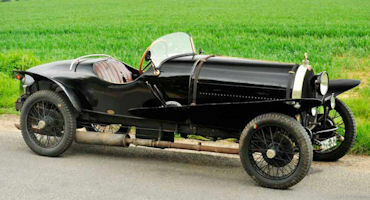 The idea erupted as a very special Grand Prix Bugatti returned to Denmark from 6 years of restoration abroad. What better place to present it than at our meeting! 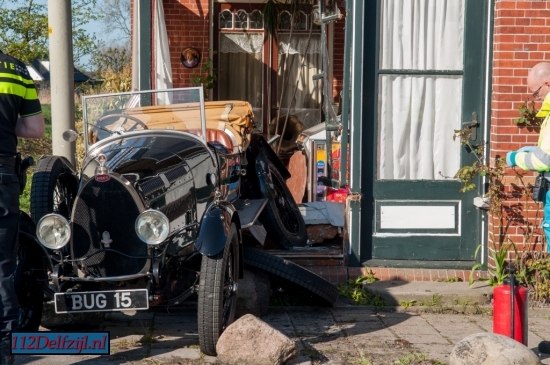 At the same time it is a well known secret that there are about a dozen rarely seen Bugattis in Denmark. Wouldn´t it be nice if we could persuade some of them out of hiding? Teaming up with Henrik Schou-Nielsen for layout and production we succeeded in bringing out 4 Bugattis for this special Sunday. More were hoped for, but some were in stages of restoration, others had not moved for years, and one was away rallying in France. 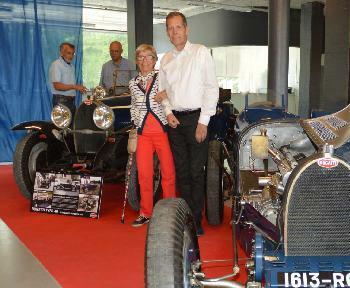 The best story was Mrs Hauberg who brought out her well patinated Type 40 Jean Bugatti roadster. No simple task as the car hadn´t run for some 15 years and needed a long overdue MOT. Moreover her son, Lars, had never driven the car. But with help from friends and volunteers it all came to be and a delighted Mrs Hauberg received a 1st prize for getting us into action and son, Lars, behind the steering wheel. Normally one doesn´t ask a lady her age but in this case it may be permissible to state that the owner is 93 years! 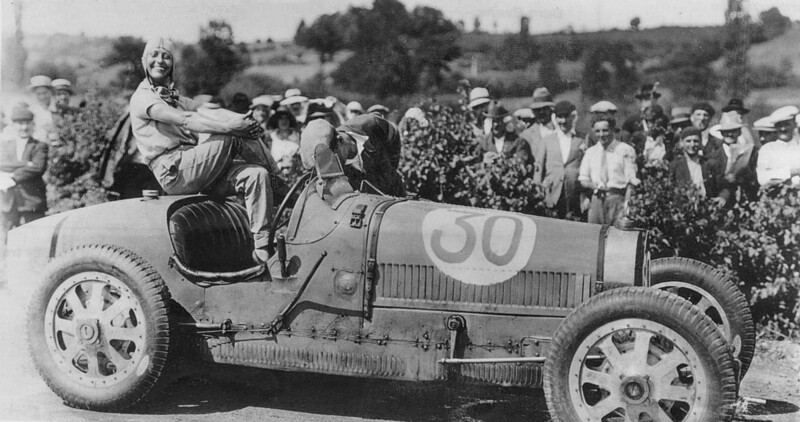 The other Bugattis present numbered aforementioned Type 51A Grand Prix Bugatti originally raced by French female racing driver, Anne Itier, in over 30 races prewar. Also a delightful Type 40 with classical Grand Sport body. A car that has been much rallied and made it across the Atlantic - and back. Finally a Type 37A rep. was lent out by the Strojer Collection, the most colourful private collection in Denmark. The Classic Meeting has always been popular with Copenhagen centred Danes, but a switch of location from one horse race track to another and the Bugatti feature made for renewed interest and an amazing turnout of 476 classic cars with thousands of visitors. With 30 years now having been rounded and as popular as ever the Klampenborg Classic is here to stay. The success of the Bugatti feature, the MG club´s 60 year anniversary, and other highlights prove the need to develop ideas and bring on new initiatives. The event relies on hard working volunteers and the enthusiasm of Charlottenlund horse race track, but this year´s success means that we will be back next year, says founder, Kim Polte. 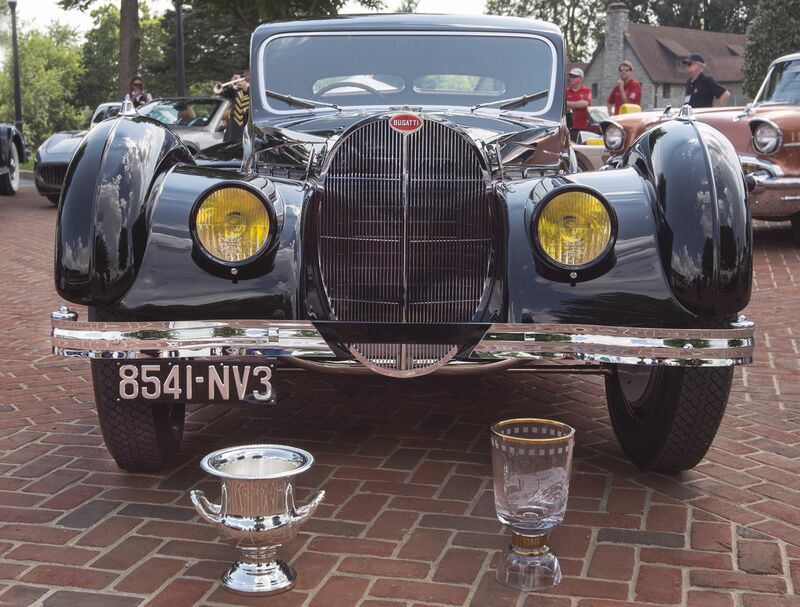 On April 13, 2014 (Yes, I know, I'm a bit late...) a Bugatti T46 won Best of show at "La Jolla"
Bugatti is sending two of its most successful historic racing cars to this year’s Mille Miglia: a Type 35 and a Type 51. Additionally, a current model of the long-established French brand will be represented on the legendary 1,000-mile race from Brescia to Rome and back with the Bugatti Veyron 16.4 Grand Sport Vitesse. 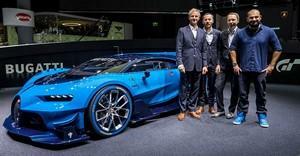 This year, German actor Erol Sander will participate as part of the Bugatti driving team. The Mille Miglia runs from 15-18 May 2014. Bugatti, a supercar manufacturer with a successful history in motor racing, is participating in the most famous classic car rally in the world, the Mille Miglia, with one of the purest cars built for Grand Prix: a 1926 Type 35. With over 2,000 victories and podium finishes, the Type 35 is the most successful racing car in automobile history. Beginning in the 1920s, this vehicle won all of the most important races for more than ten years, including five consecutive victories at the Targa Florio at the time it was considered the world’s most challenging open road race. Following the motto “Race on Sunday, sell on Monday”, the Bugatti Type 35 played a key role in the Molsheim manufacturer’s golden era, with founder Ettore Bugatti selling numerous Type 35 vehicles to wealthy customers immediately after successful race weekends. In its time, the Type 35 was the only car that could be driven both on the race track and on the streets. 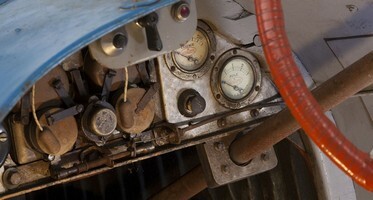 The Type 35 is powered by a 120 PS 2.3l in-line eight-cylinder engine. 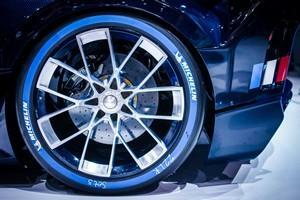 Its 750 kilogrammes are distributed perfectly across the axles (50 to 50 per cent), making the car incredibly dynamic. 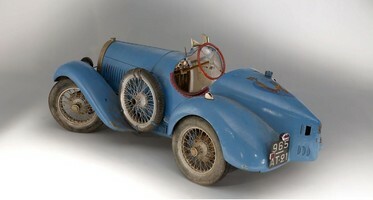 The second racing car of the Bugatti factory team is a Type 51, which was manufactured between 1931 and 1934. 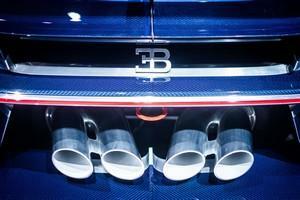 The Type 51 represents the high point of Bugatti racing car construction. Designed as a successor to the supercharged Type 35B, it has a 2.3 litre double overhead cam engine, which produces between 180 and 190 PS. 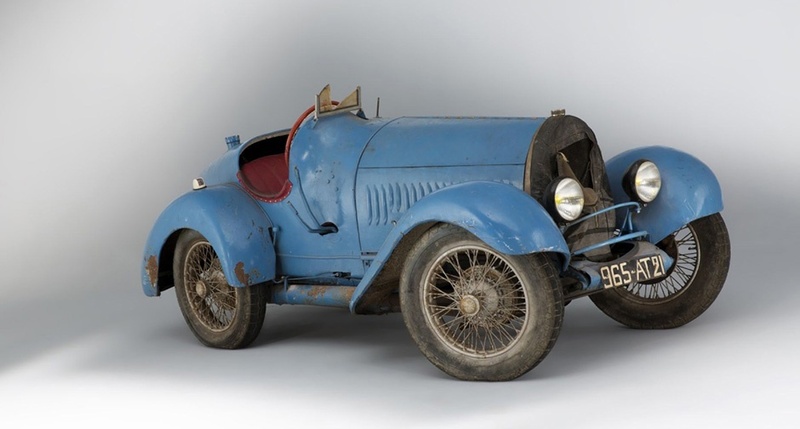 This was the first Bugatti race car to use a double overhead cam. Bugatti achieved important victories with the Type 51, such as in 1931 at the Monaco Grand Prix with driver Louis Chiron and at the Tunis Grand Prix with driver Achille Varzi. In the same year, both won the 10-hour French Grand Prix in Montlhéry with a Type 51. 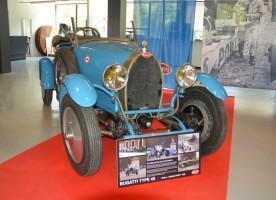 Bugatti achieved another victory at the Monaco Grand Prix in 1933, when Achille Varzi won. 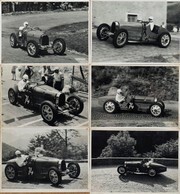 The Type 51 won further victories in the same year in Monza, at the Grand Prix in Dieppe, and on the AVUS with Pierre Veyron as the driver. This classic car with an incredible past will be accompanied by a modern day icon: the Bugatti Veyron 16.4 Grand Sport Vitesse. This representative of the current model range is handmade at the company’s historic headquarters in the Alsatian town of Molsheim, like all previous models, and has an 8-litre W16 engine. The Grand Sport Vitesse exhibits performance characteristics which are one-of-a-kind: 1,200 PS, 1,500 Nm of torque and exhilarating acceleration of 0 to 100 km/h in 2.6 seconds. 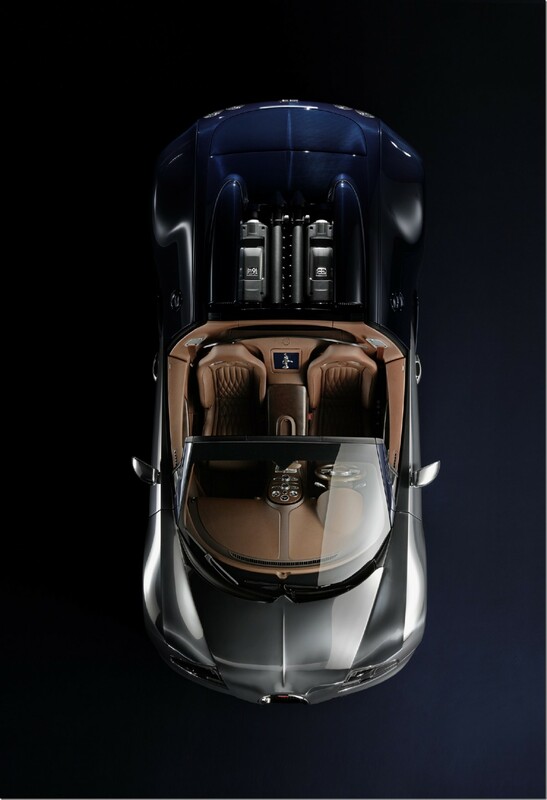 With a top speed of 408 km/h with the top down, the Grand Sport Vitesse is the world’s fastest production roadster. Since 1977, the Mille Miglia has been run in homage to the legendary races of the past; between the début race in 1927 and its provisional end in 1957, it was known as one of the world’s longest and hardest motorsports events. Even though the race is now conducted as a regularity and reliability rally, it has lost none of its aspirations or fascination. The 1,000 miles (approximately 1,600 kilometres) will be driven over the course of four days of racing. The rules stipulate that only cars that took part in the original Italian classic races and are still in their original condition may participate in the competition. The Mille Miglia runs from 15-18 May 2014. 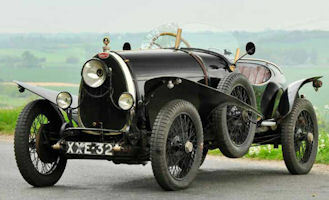 The Bugatti Type 35 will drive with the start number 22, and the Type 51 will have number 35. 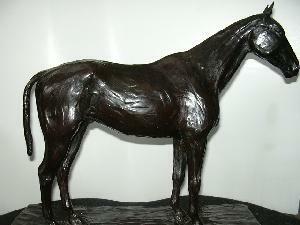 Lidia Bugatti horse sculpture: sold for $13,000. 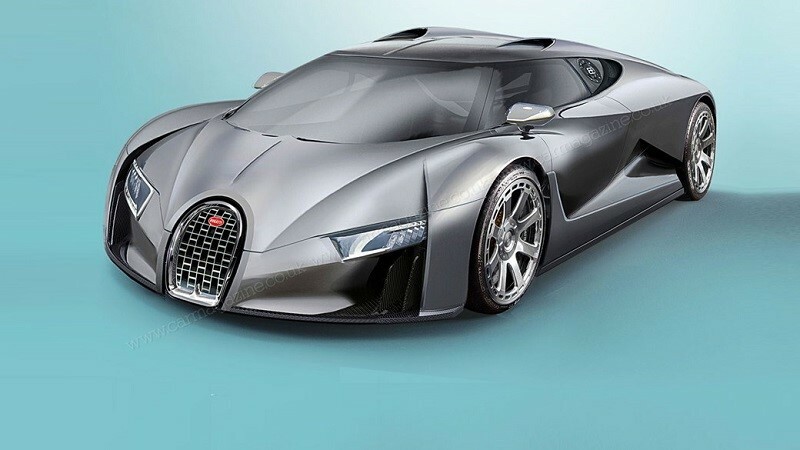 April 14, 2014 First test car for the next Bugatti? 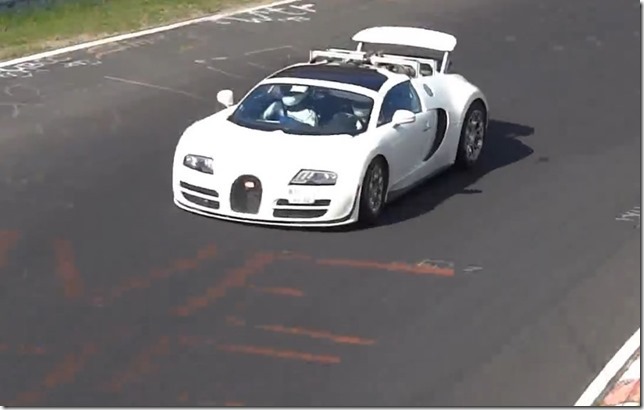 Since a few days, different prototypes / mules looking like the Bugatti Veyron have been seen on the Nürburgring in Germany, a circuit also used several years ago for the development of the Bugatti Veyron. 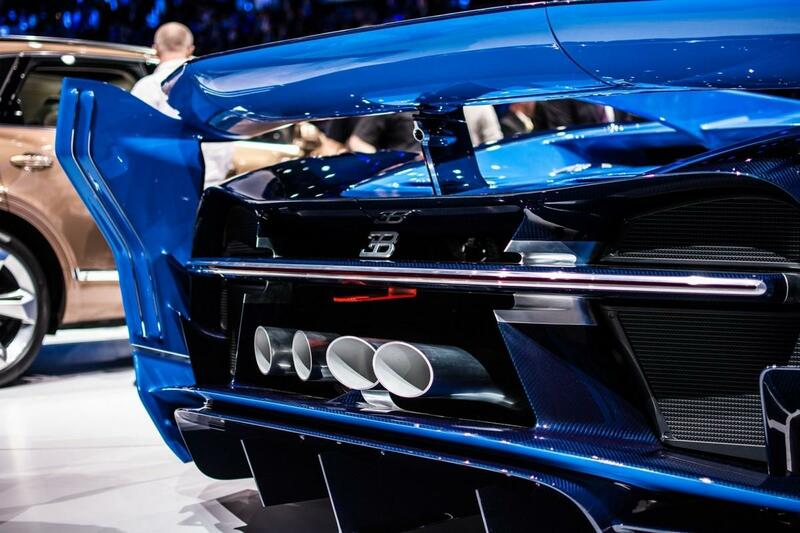 It very much looks like the new drive system of the future Bugatti supercar, possibly a hybrid. So what could this be? Well, it is impossible to say definitively what it is, but when recently quizzed about whether the Veyron’s replacement would utilise a hybrid engine like the LaFerrari, P1 and 918 Spyder, company boss Dr. Wolfgang Schreiber said “Maybe” with a smile. What’s more, there is absolutely no engine noise being produced by this prototype and all you can hear are the tyres and wind passing over the French supercar! The Mullin Automotive Museum houses over 50 pieces of furniture by Carlo Bugatti, numerous sculptures by Rembrandt Bugatti, paintings by Carlo, and the largest private collection of Ettore and Jean Bugatti automobiles in the world. 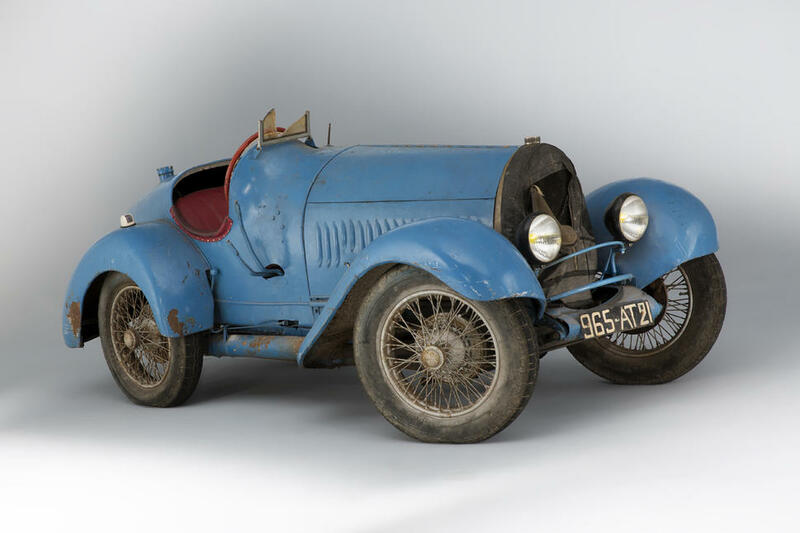 This exhibition brings together dozens of Bugatti models including carriages; the early Brescia race car; the race winning Types 35, 37 and 51; Jean Bugatti’s Type 64 Papillon and Atlantic Coupé; Types 57 Aravis and Atalante, and the incomparable Type 41 Bugatti Royale. The collection will also display the unrestored Schlumpf Reserve Collection and the new generation of Bugatti automobiles culminating with the breathtaking, record-breaking Veyron. The design and engineering breakthroughs incorporated over the course of the Bugatti marque’s existence will be exposed and explored through drawings and factory artifacts, many unseen by the public prior to this time. 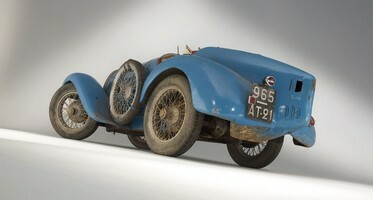 The retrospective will also include an extensive overview of the Bugatti family’s influence on the automobile as art. 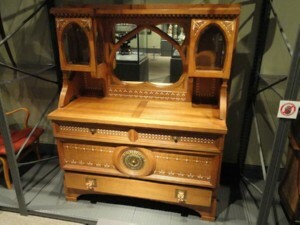 Opening March 29th at the Royal Ontario Museum in Toronto is a centennial exhibit looking back at the ROM’s decorative arts collections from the time of the museum’s opening. 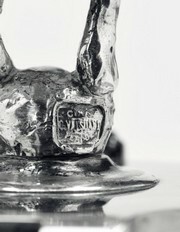 Works by artists Jensen, Tiffany, Lloyd Wright, Bugatti, Knox, Dresser, Emile Gallé, Hoffman and more will be on display. 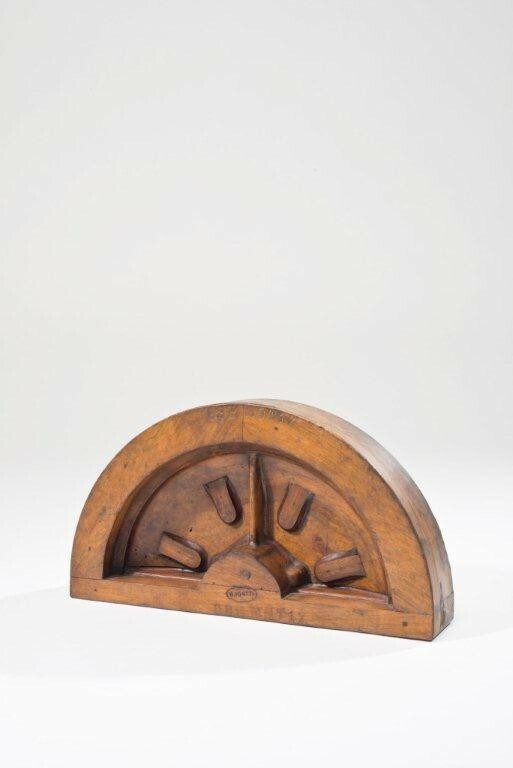 Over 100 objects of European origin will be available for the public to view until the end of the centennial celebrations in March of 2015. “The exhibition’s timing is no coincidence. With all areas of the ROM wishing to acknowledge the ROM’s Centennial, the European arts section is among the best positioned to make a statement! This exhibition establishes that the year of the ROM’s opening saw the era’s leading designers working in new ways. Given that the exhibition includes many of their innovative creations, we anticipate great interest in this timely display.”, says Robert Little, the Mona Campbell Curator for European Decorative Arts in the ROM’s World Cultures department and curator of the Around 1914 exhibit. 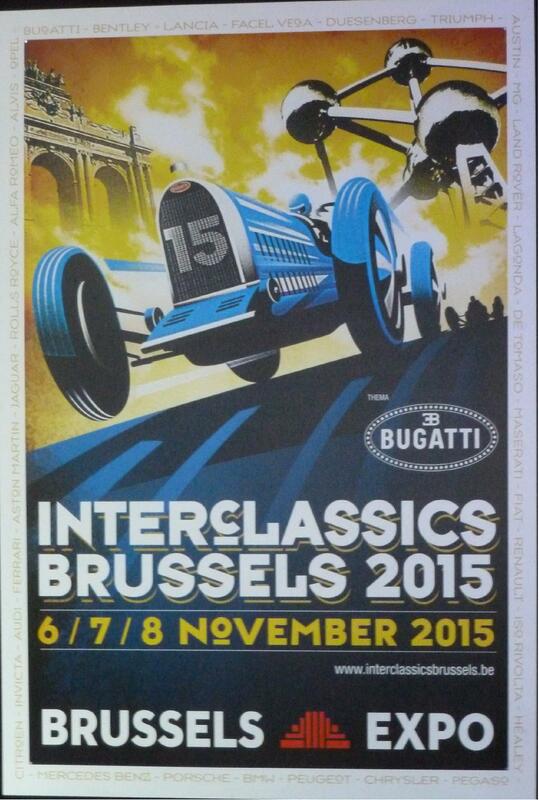 Including the presentation of a recently restored Bugatti Type 46 by Arie-Jean, Belgian Vintage Car restoration. This particular Type 57C Ventoux is in fact a tale of two Bugattis, chassis 57584 and chassis 57664. 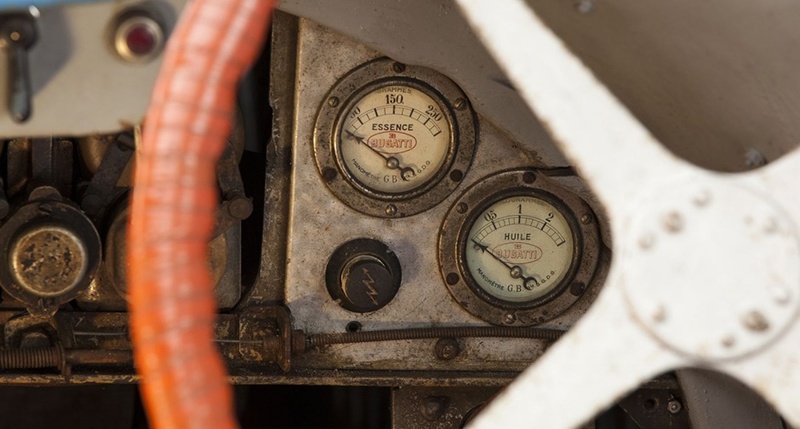 Although it is equipped with the engine and firewall tag from 57664, the car itself has been confirmed to be 57584, a car with its own fascinating story to tell. Inspection of the numbers stamped on the body panels and chassis, along with research undertaken by Bugatti historians David Sewell and Pierre Yves-Laugier, have helped to confirm this car’s identity, and both of their invaluable reports are included on file. 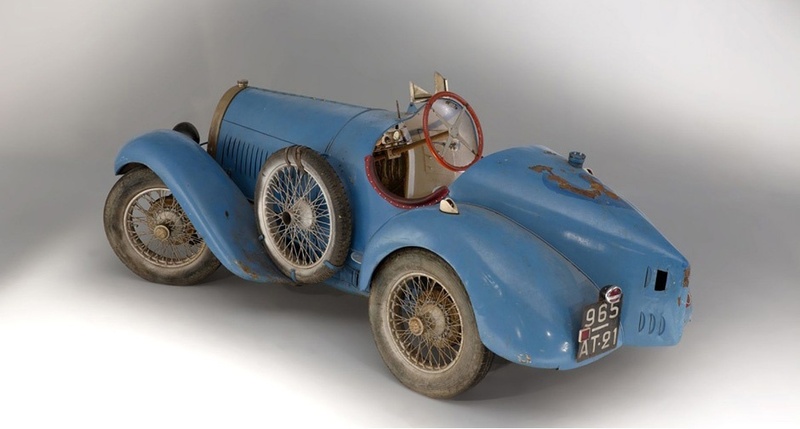 Laugier confirmed that chassis number 57584 was built in early October 1937, and at that time, it was fitted with Ventoux coachwork and engine number 421 and finished in Metallic Blue. The car was driven from Bugatti’s facilities in Molsheim to Paris on October 15, which was in the same week as the Paris Auto Show. 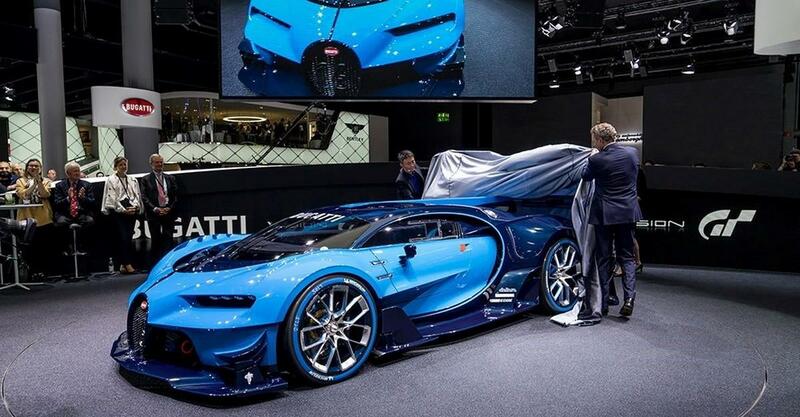 As the car was not seen on Bugatti’s stand at the Grand Palais, it is believed that it was instead used as a factory demonstrator for potential customers, similar to the “test drives” held by luxury manufacturers at modern concours. 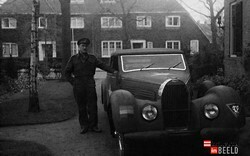 Afterwards, the car was retained by the factory and saw further use by Pierre Veyron on January 21, 1938, when the car was driven to Belgium for a demonstration, one that was given to perhaps an interested customer. The following month, the car was driven by Adrien Paul, another factory employee, to Geneva on February 11, 1938, and it was subsequently delivered to Mr. Bierlein. 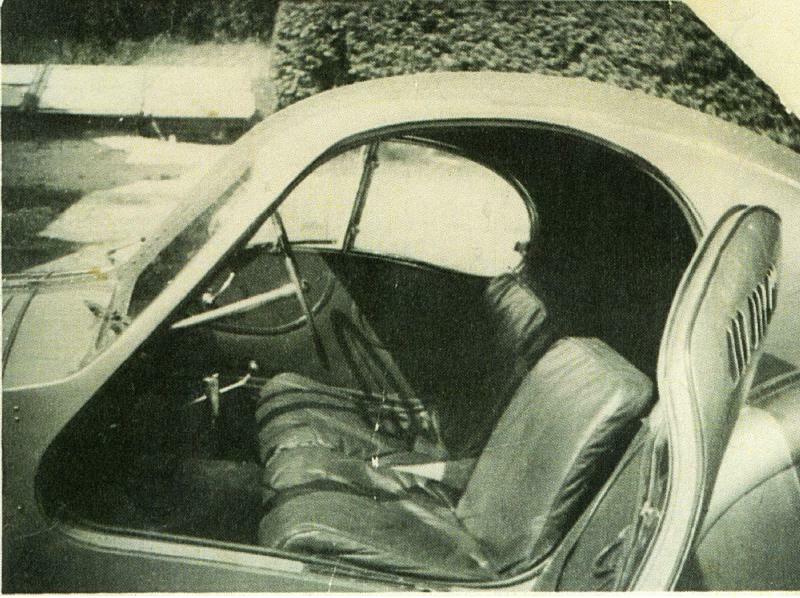 After the war, in 1949, the car was registered in Paris to an unknown owner, possibly still Bierlein, as he never formally imported the car from France to Switzerland. On June 27, 1950, this Bugatti was registered in Paris under Albert Hervey, a garage owner in Paris who was the owner of two other Type 57 Bugattis at the time. He sold the car one year later to an American student living in Paris, artist Kenneth Hassrick, who also happened to own multiple Type 57s. Upon his return to the United States a few months later, he decided to bring chassis number 57584 with him. The car was then bought from Hassrick by W. Hudson Mills. Mills was a well-known enthusiast of the era and had owned a Duesenberg and several other Bugattis, one being chassis number 57664, a Gangloff-bodied four-door saloon. 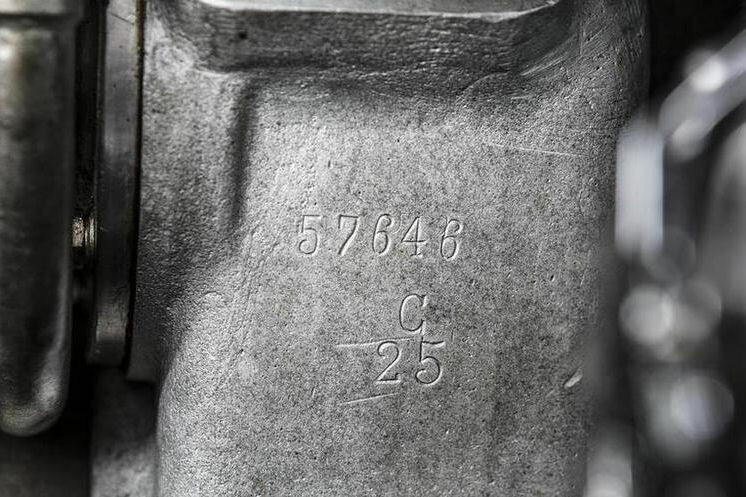 Under his ownership, chassis number 57584 was fully restored. The engine was completely rebuilt, and a new Honduras mahogany dashboard was fitted with Jaeger instruments. It is believed that during this restoration, Mr. Mills exchanged both the engine and data plate of 57584 with those of 57664, leaving this car with engine number 507, which had been fitted with a supercharger. 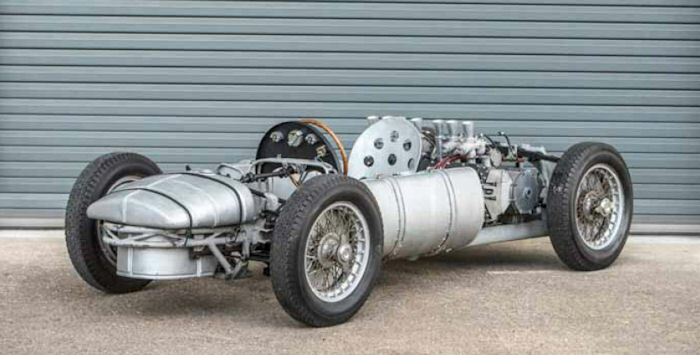 Because the data tag of 57664 was also installed on this car, it was incorrectly known by that number for many years; in fact, it was known by that number until quite recently, when RM Auctions’ Research Department was able to learn its true identity from Laugier and Sewell. In H.G. Conway’s 1962 Bugatti Register, 57584 (cited as 57664) was listed as being owned by Mills, but by 1973, it had passed to W. and John Gelles in nearby Scarsdale, New York, as stated in that year’s Bugatti Register. It was also further documented by the 1979 and 1988 American Bugatti Register by A.E. Rheault, which stated that it was owned by Allan Stone, an art dealer known for his expertise in abstract expressionism, who also owned nearly 30 Bugattis. 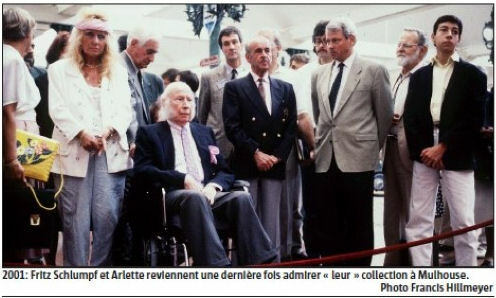 Yet another artist, Armand Pierre Arman, a noted painter and sculptor, purchased the car in 1988. Chassis number 57584 returned to Europe after being sold to Peter R. Bruppacher, of Zurich, Switzerland. According to Laugier, Bruppacher found a license plate in the car, number 755 AH 78, but he was unable to connect it with 57664. 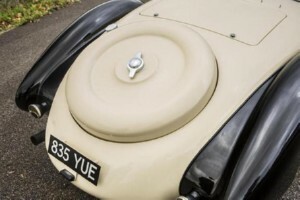 In fact, this plate, which was titled in Paris, was originally titled to chassis 57584, under Hassrick’s name, back in 1951, further attesting to the car’s true identity! 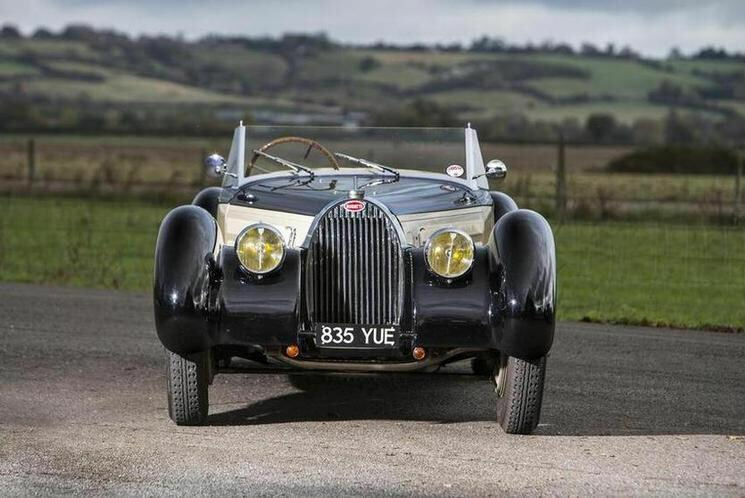 In the mid-1990s, this Bugatti was restored to concours standards by UK-based Bugatti specialists at Ivan Dutton Ltd., of Aylesbury, Buckinghamshire, England. Approximately $450,000 was spent on the restoration, truly catapulting this Type 57C Ventoux into one of the finest examples in the world. Of course, the restoration was not just skin deep, and the owner at the time demanded that the car be not only perfect cosmetically but also perfect mechanically. Following the completion of the car’s restoration, which arguably brought it to better-than-new condition, this car and then-owner, renowned collector Bruce Meyer, received an invitation to the 1998 Pebble Beach Concours d’Elegance. 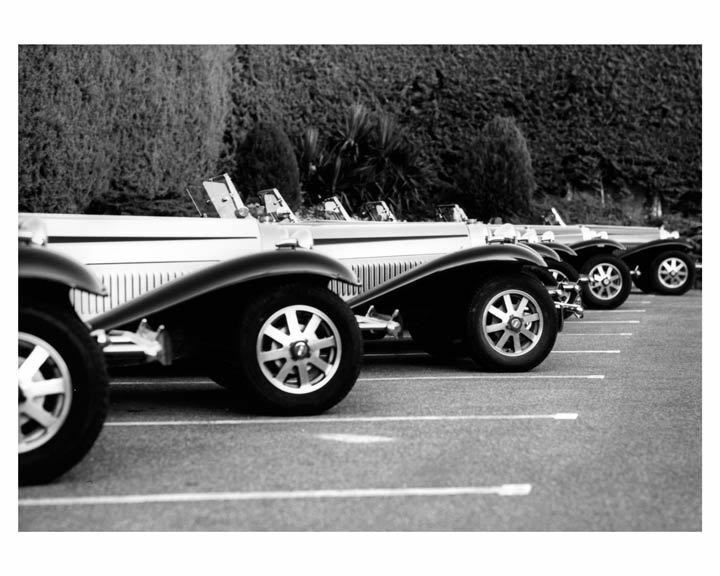 Pebble Beach veterans will know that this was the first year of the Tour d’Elegance, where cars invited to the concours were encouraged to take to the roads surrounding Pebble Beach so spectators could admire both their mechanical and cosmetic beauty at speed. 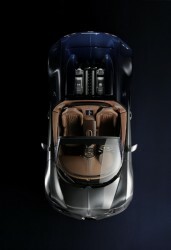 This Bugatti was perhaps the perfect candidate for the tour, as it was graced with the first-ever Elegance in Motion Trophy, which was awarded to the car “deemed to be most elegant in motion” while seen on the tour, testifying that this car truly embodies both automotive elegance and engineering working together to achieve breathtaking results. While speaking with Bruce Meyer about his ownership of the car, he commented, “I enjoyed the car immensely and drove it frequently with confidence,” echoing the judges’ opinions of its elegance in motion. Following its departure from Bruce Meyer’s collection, the car was purchased by Judge Joseph Cassini III in 2007, and it remained in his world-class collection for the next four years. 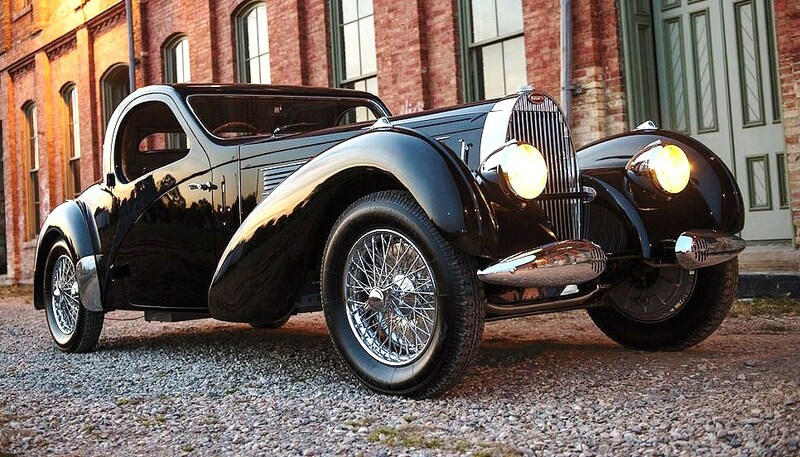 This Bugatti still resides in North America and has been incredibly well maintained and used sparingly since the completion of its restoration. 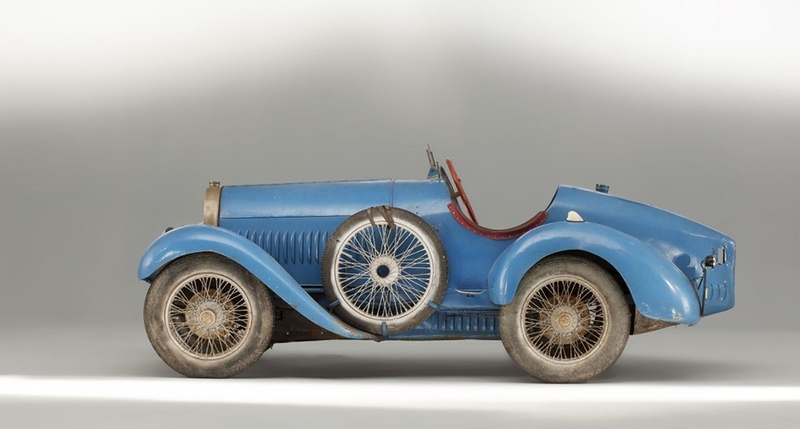 Its beautiful restoration and incredible lines have always earned it acclaim, and the research undertaken by RM Auctions, Pierre Laugier, and David Sewell has confirmed that it also has an amazing story to tell, which includes a history of use by the Bugatti factory and by one of the most legendary racers of his age. 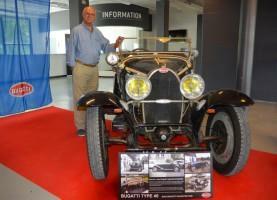 According to renowned Dutch Bugatti historian Kees Jansen, chassis no. 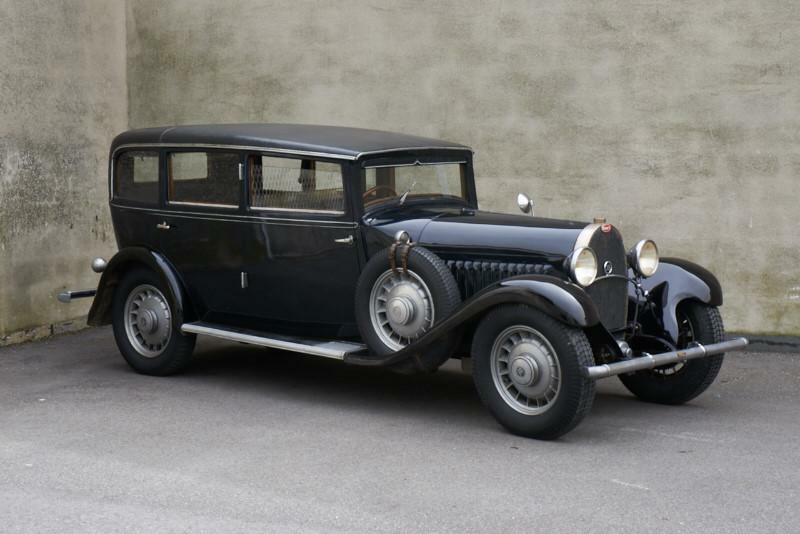 57661 started its life at the Molsheim Bugatti works in March of 1938. The Type 57 was completed over the summer that year as a Gangloff Stelvio Cabriolet, priced at 86,000 French Francs, and delivered to a client named Lecroix via Bugatti agent Crequy. From here on, the car's history becomes hazy for decades. 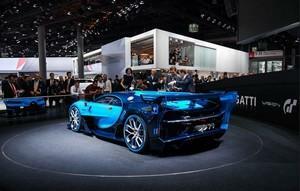 At some stage, the Bugatti was involved in an accident, and subsequently burnt beyond repair. Its remains, understood to have consisted of the front of the chassis and the engine, were purchased in Paris in the 1980s by Helmut Feierabend, a collector from Wurzburg, Germany. Mr. Feierabend's intention was to restore chassis 57661 with the Voll & Ruhrbeck coachwork of 57819, but due to time constrains, this work was never completed. Mr. Feierabend later sold the project to Mr. Uwe Hucke, who in turn sold it to renowned collector Jim Patterson of Louisville, Kentucky. Mr. Patterson did not complete the project either, but sold it to the consignor, an Australian based Bugatti collector and enthusiast, along with spare engine 25C (ex-chassis 57646). This gentleman had a clear vision of how he wanted to bring the project to life. 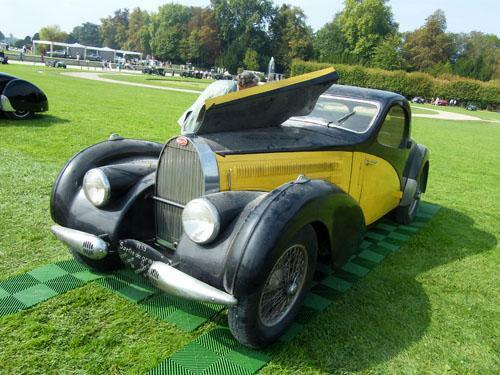 In 2006, as he visited the Retromobile show in Paris, he had noticed the incredible coachbuilding skills of Tours, France based Auto Classique Touraine; they had on display a newly built body in the style of the famous Jean Bugatti/Gangloff design no. 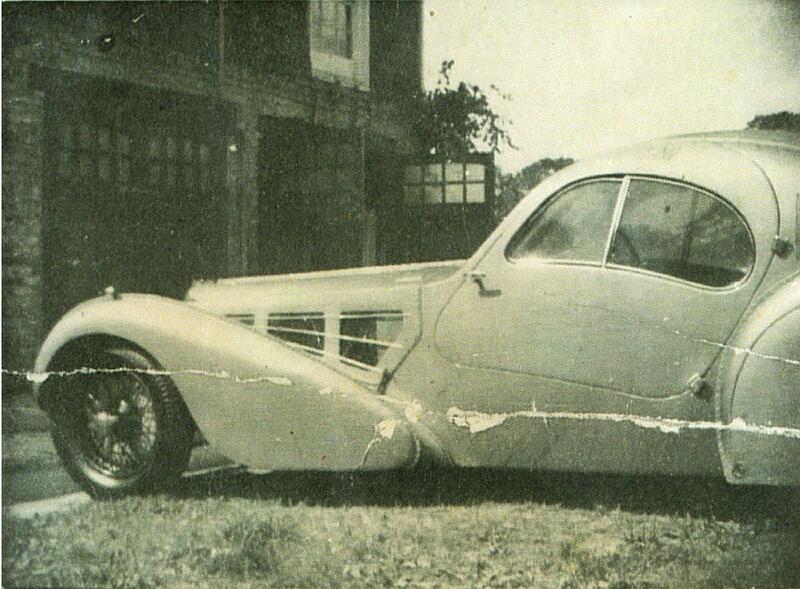 3449, the sporting Type 57 Roadster that was never completed due to the outbreak of the war. So the message was clear once the project really got under way in 2007; it was going to be a Roadster in the style of Jean Bugatti/Gangloff design no. 3449, built by Auto Classique Touraine. Renowned Bugatti specialist Jim Stranberg and his shop, High Mountain Classics, was selected to carry out the extensive work of restoring the chassis and drive line, to later mate to the new coachwork. Photos and receipts of the comprehensive build are available, all told adding up to several hundred thousands of dollars. 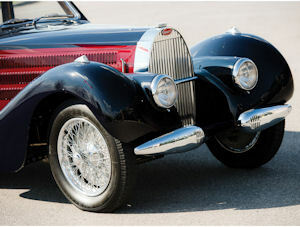 Upon completion in 2010, the supercharged Bugatti debuted at the The Quail, A Motorsports Gathering, where 57661 was awarded Best Prewar Sports Car. 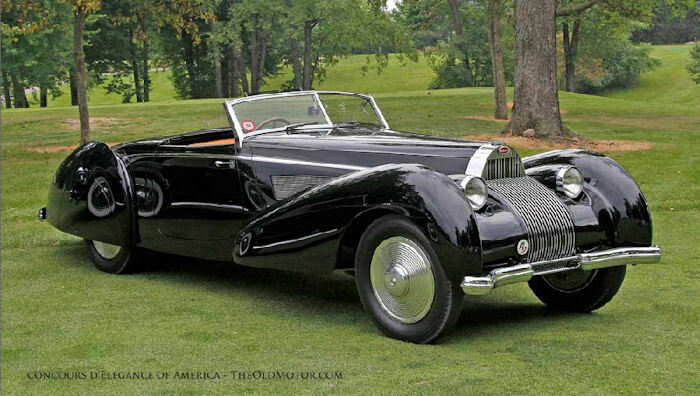 The following spring, the stunning Roadster was on the field at the Amelia Island Concours, where it was awarded the Best New Coachwork award. 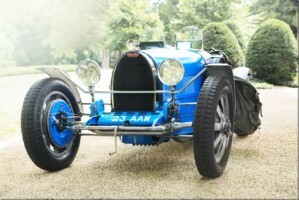 This beautiful automobile has since been used on numerous International Bugatti Rallies in the US and abroad, and was displayed at the Prescott Bugatti Trust meet in the UK. 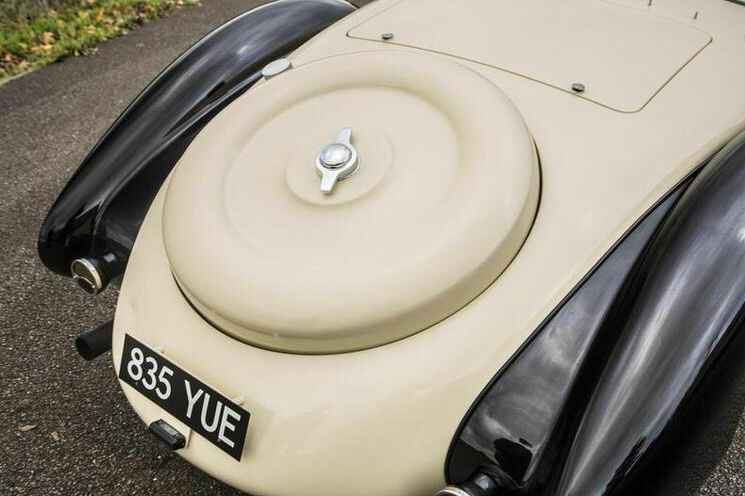 With its light bodywork and powerful, supercharged eight-cylinder engine, this stunning Type 57 is a delight to drive. A known car to the American Bugatti Club Registry, the Roadster is offered with the original engine block no. 483 (although in damaged condition), a history file and restoration receipts. This expertly built, extremely beautiful Type 57 is ready for the next caretaker. The past still has a future! 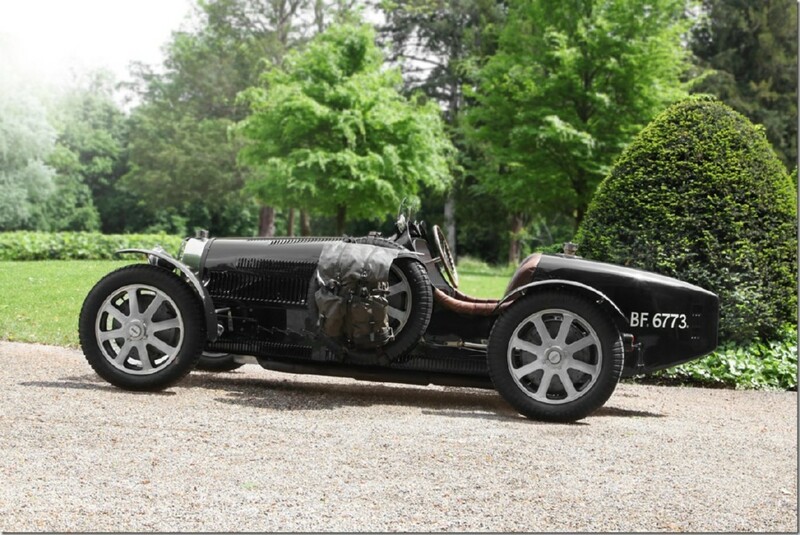 On show will be one of very few Bugatti Royale and to add some contrast, one of the smallest but also one of the sixth oldest Bugattis still in existence: the 1912 eight valve T15 #446. In Denmark since 1919, it will be at PreWarCar's stand in Paris. Also on auction the Bugatti T57 "Ventoux" from the Baillon collection (above right) PDF file with information. This year I sent to many of my friends the christmas card shown on the right, many asking me where it was, and when. Above see the original photo which I found somewhere, but do not remember where, I'm afraid. Only thing I knew, was that it was in Pau. Lehoux wins the Battle in the Snow. The first Grand Prix on the Pau street circuit was held under horrible conditions with snow falling during the early part of the race. the whole field on his way to victory. More info: Click here and scroll down a bit!